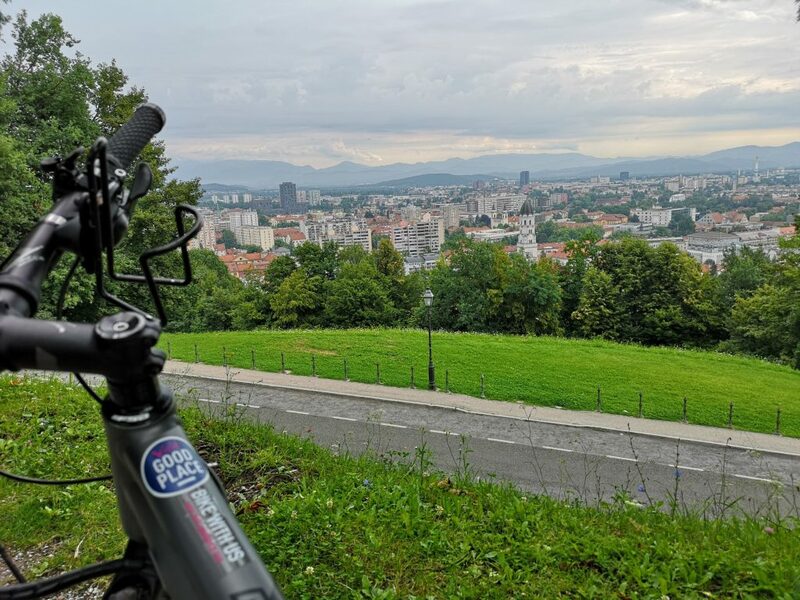 The bike route leading along the attractions and parks in Ljubljana was designed for those Ljubljana visitors who would like to see slightly more than a set of usual sights in the city centre and who are in search for new photo images or just fond of the extraordinary atmosphere offered by parks. 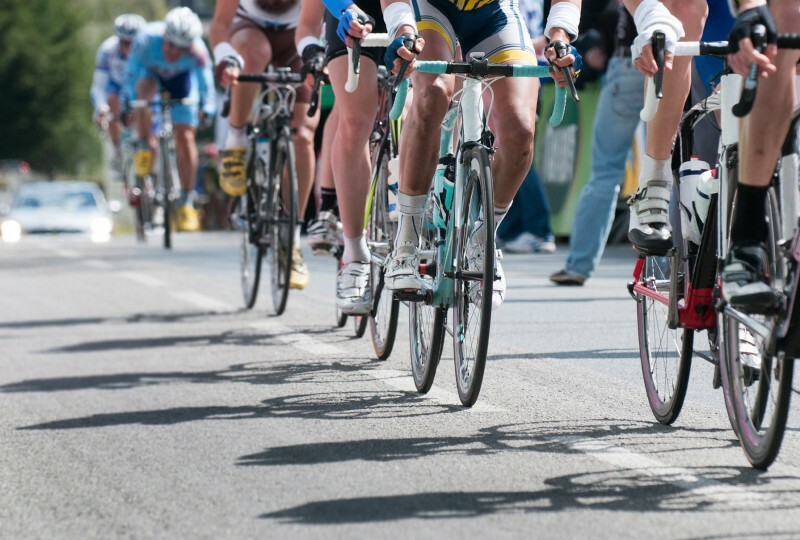 Besides parks, the undemanding route leads along plenty of historical and architectural points of interest. 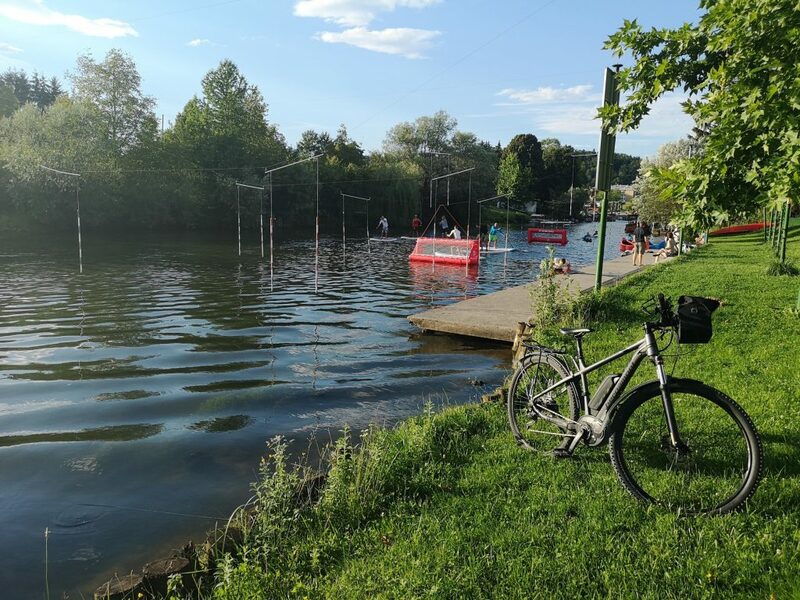 It takes two to three hours of easy cycling to get to know a completely different Ljubljana where one can take time to enjoy the entire day in the company of locals at their favourite scenic points and recreation trails. According to the history sources, the Roman town wall, which included at least 26 towers and four main gates, was built between 14 and 15 AD. The wall structure was so solid and robust that some parts of it survived for as many as 2000 years. The inner structure of the wall, i.e. the part that stood west from the main southern gate of Emona, is still visible in the Mirje suburb. 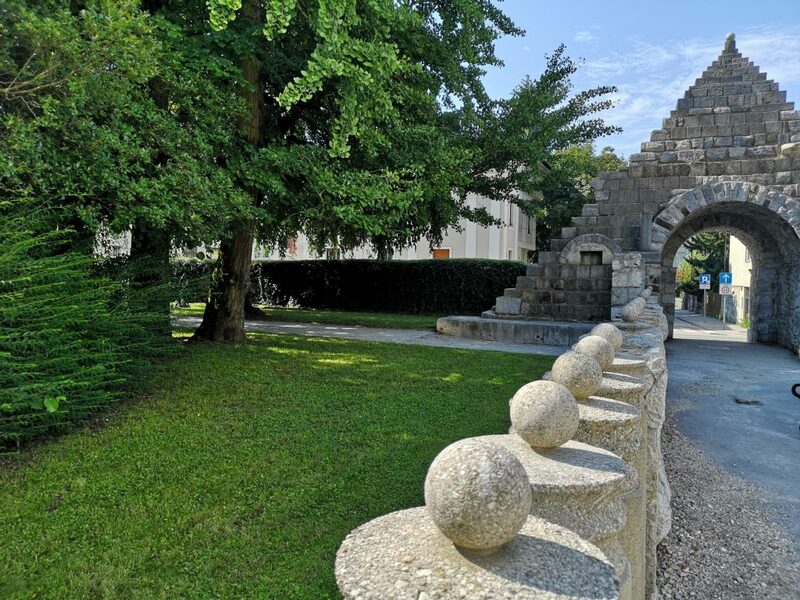 In the 1930s, the wall complex in Mirje was restored according to designs made by architect Jože Plečnik. 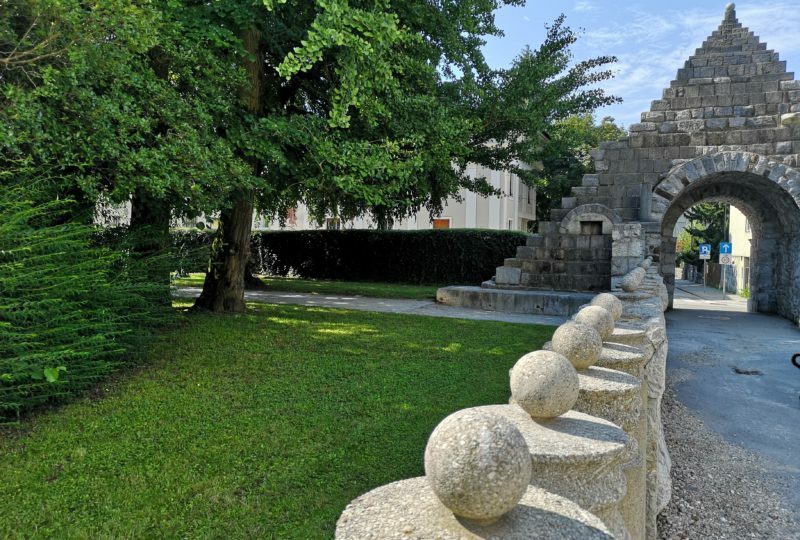 His additions to the surviving Roman walls include a stone pyramid, the upward-facing extensions of the wall, the gates to the wall complex, an arched vault covered in stone remains from the nearby Roman buildings, and a park arranged inside the walls. 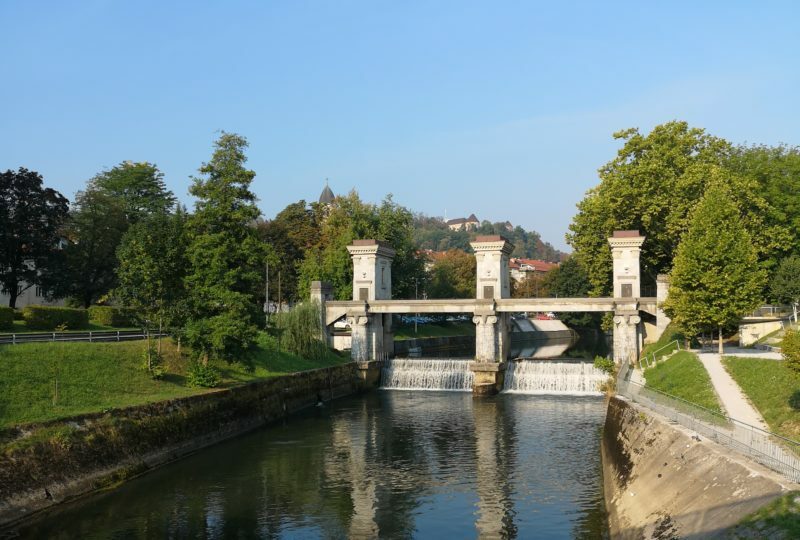 The Trnovo Bridge (Slovenian: Trnovski most) connects two Ljubljana city quarters, i.e. Krakovo and Trnovo. 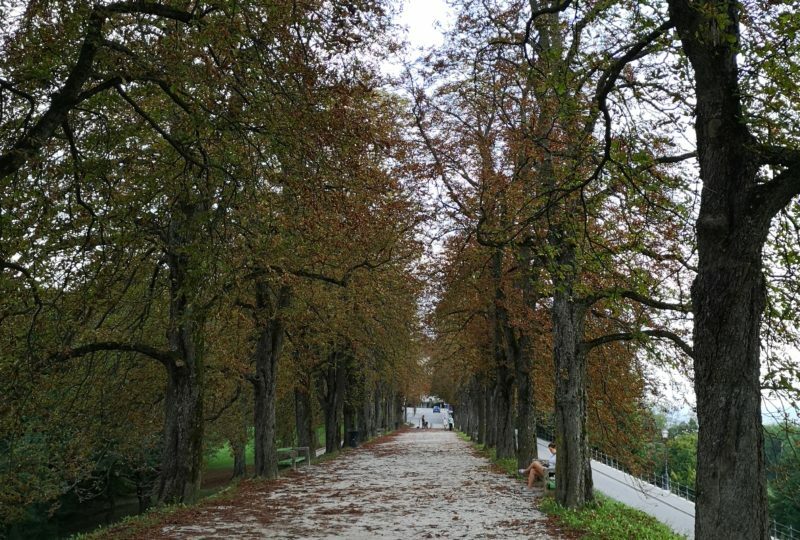 Trees growing on the 17 metres wide bridge indicate that Plečnik designed it as a square in front of the Trnovo Church of Saint John the Baptist. The bridge railings are concluded with pyramids. 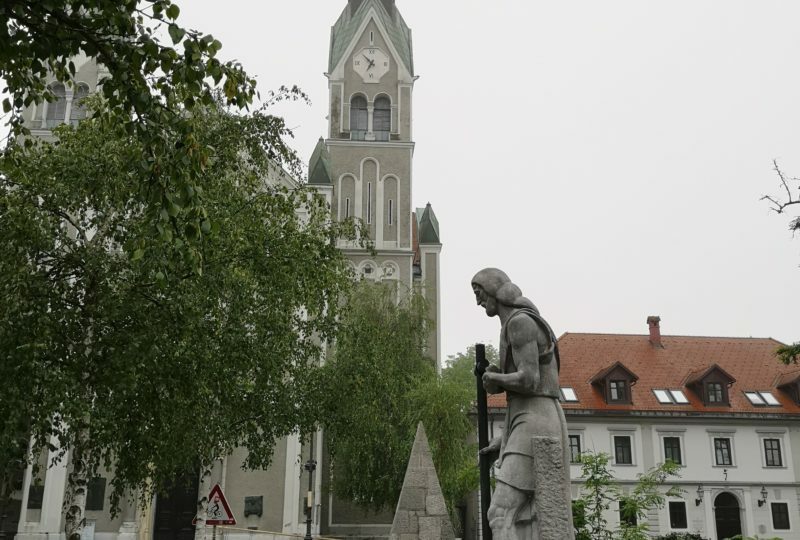 One side of its mid-section displays a statue of Saint John the Baptist, while the other features a tall and narrow pyramid, one of the many that can be found in Ljubljana. The relatively new church was built in the 18th century. 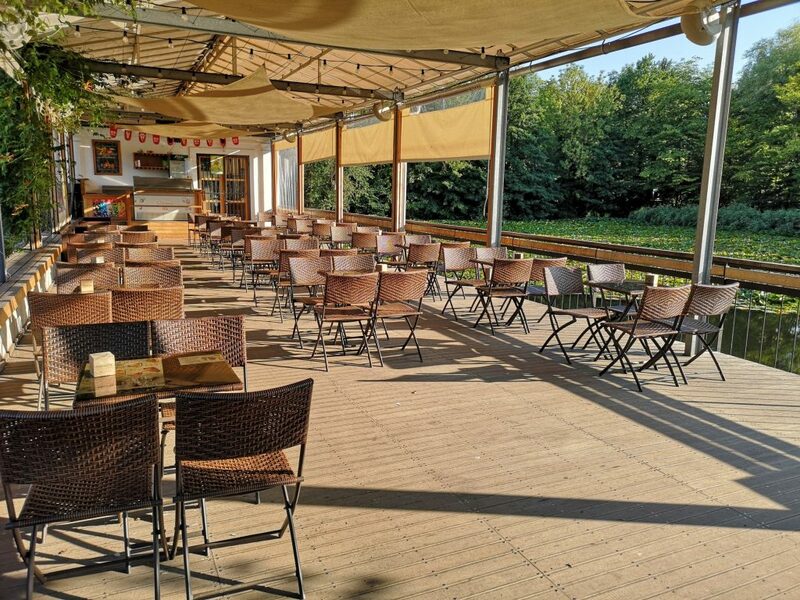 Although the building is only visible from its immediate surroundings, the view is particularly beautiful when one approaches it from the park along the Gradaščica river or from the Gradiška ulica street, especially when stopping by at the captivating nearby bridge. 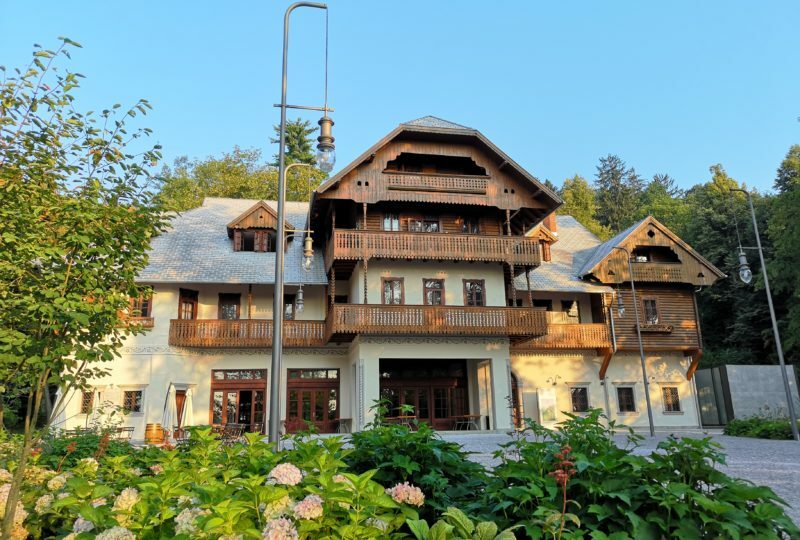 Jože Plečnik not only designed a part of the church interior, but also lived in the building just behind the church, which currently houses a museum dedicated to the great master. 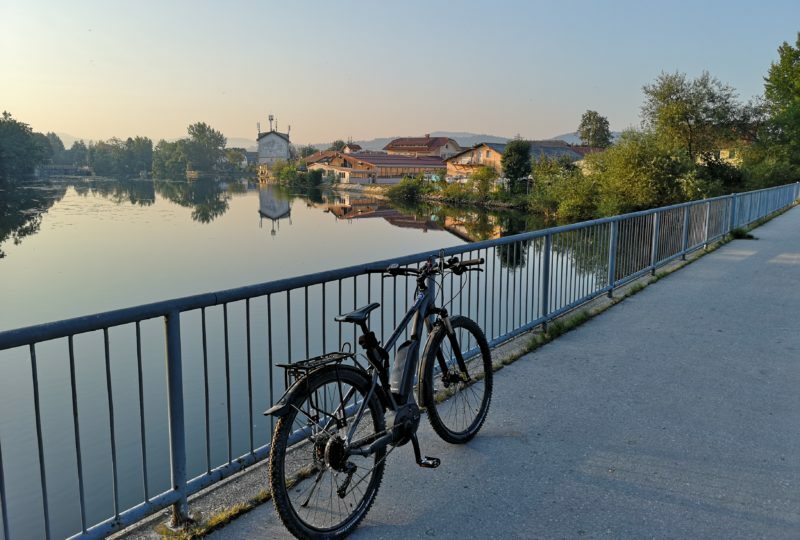 The tour is not specifically dedicated to Jože Plečnik, but since he left a significant mark on the city’s landscape, particularly along the rivers and in the area of Trnovo, the architect is mentioned at what is now the fourth consecutive point (POI). 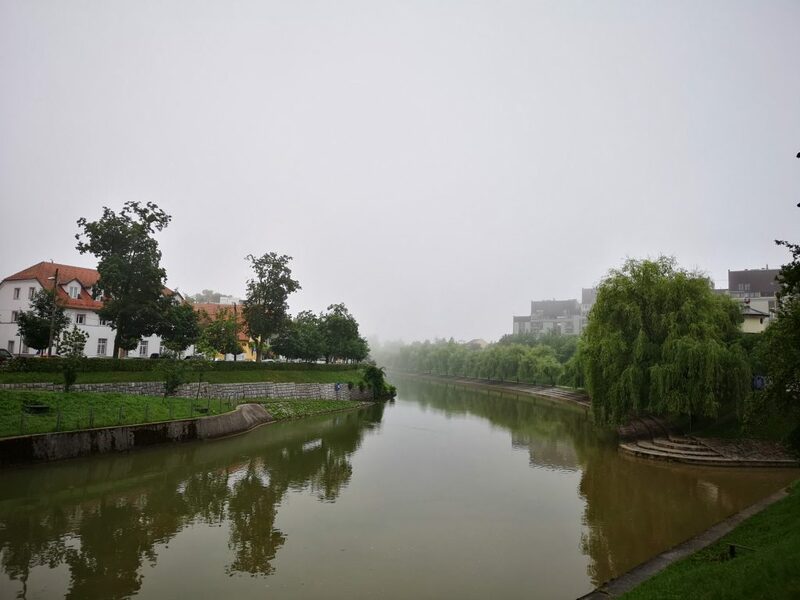 This is where he brought to life his vision of connecting the city and the river by terraces descending towards the river, thus forming a river park together with the willow-lined alley and benches. 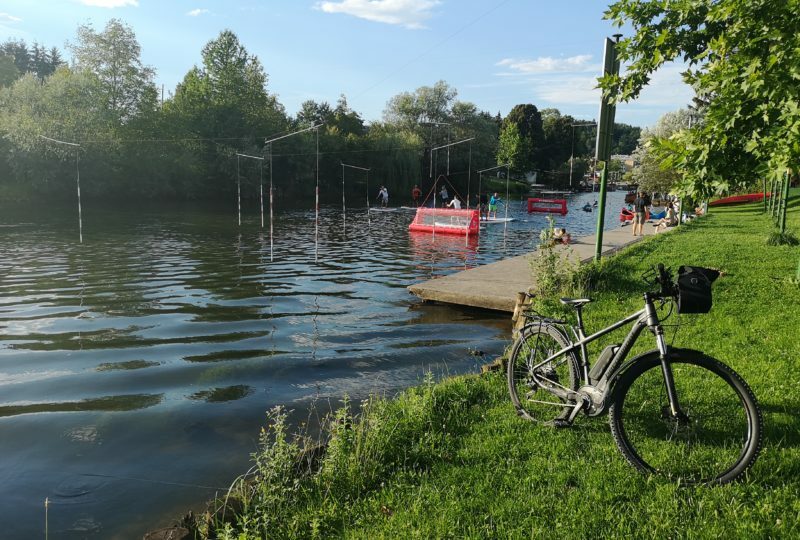 The sports centre is located at the spot where the Ljubljanica enters the city centre. 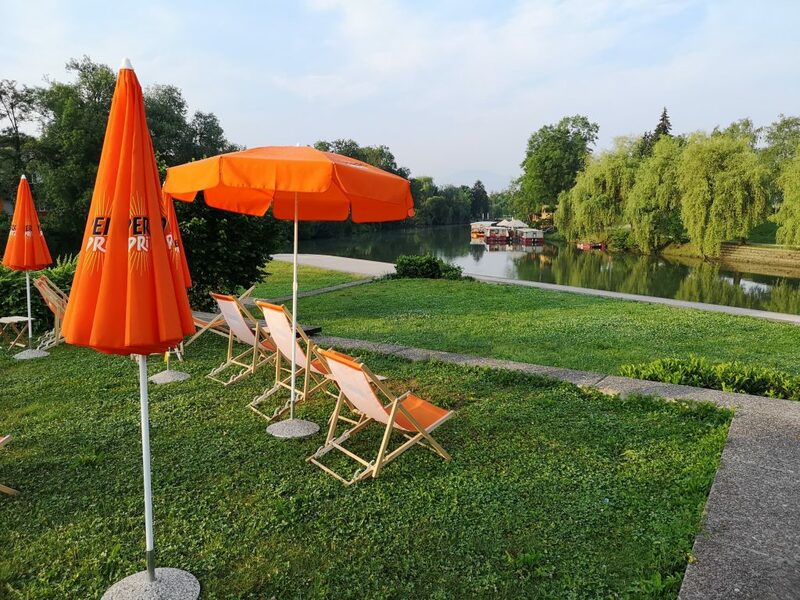 Together with a meadow found just below the Angling Club Barje (Ribiška Družina Barje) on the other side of the river and a garden at the neighbouring Livada Inn, it is one of the most beautiful and liveliest publicly available areas in Ljubljana. 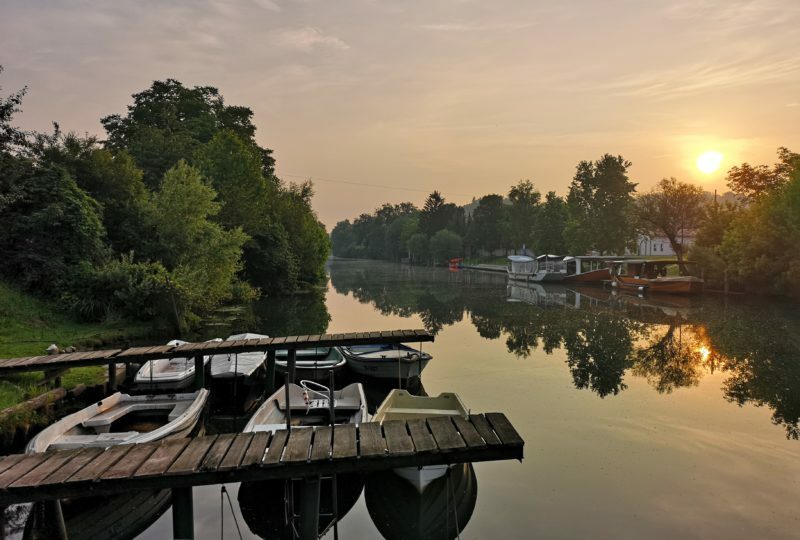 The numerous colourful boats as well as glorious morning and evening lighting offer many great opportunities for those who love good photography. 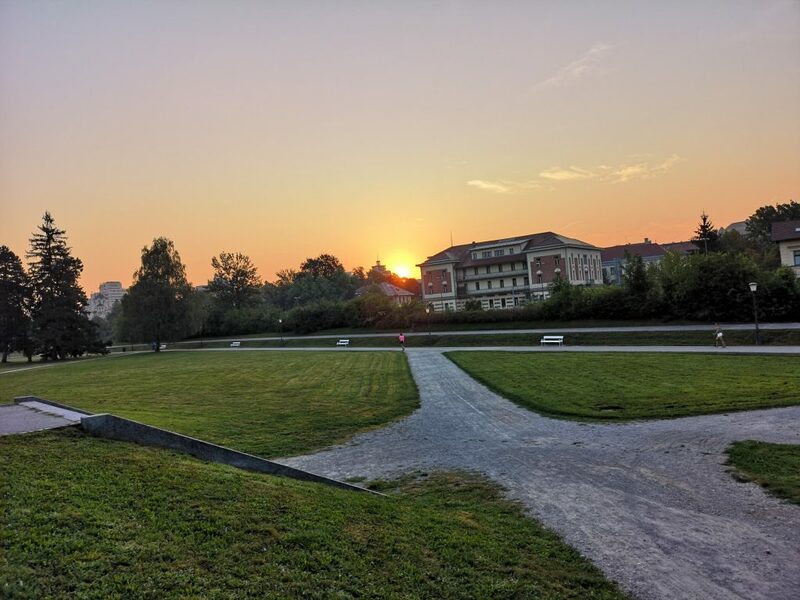 The Botanical Garden is the oldest cultural, academic and educational institution that has operated continuously since 1810. 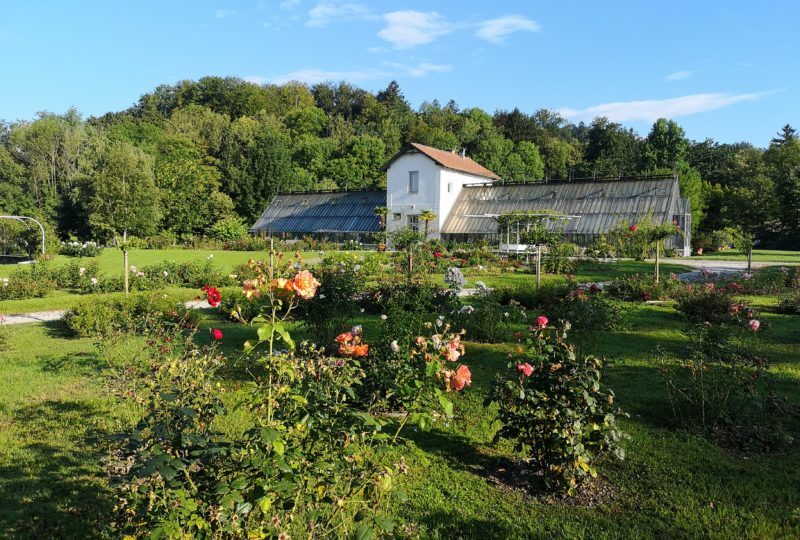 It is home to over 4,500 plant varieties, with more than a third being endemic to Slovenia. 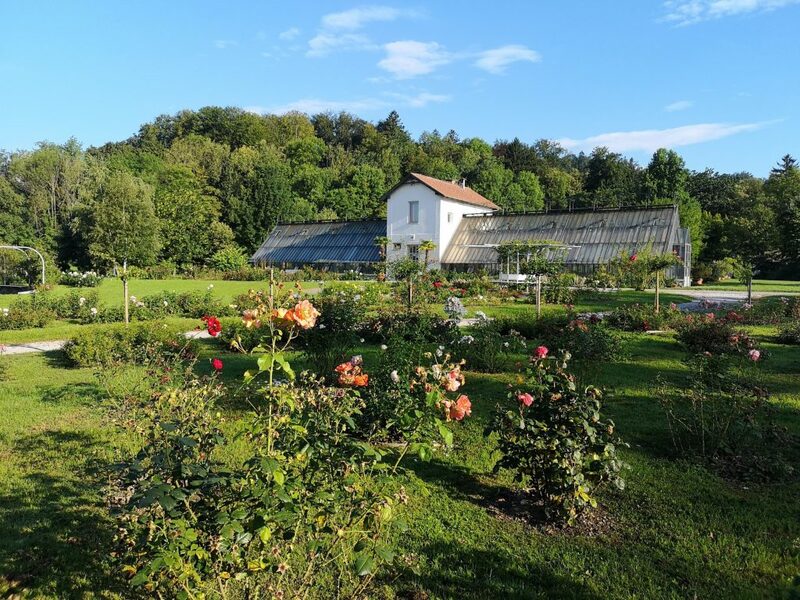 Visitors can see the large tropical glasshouse housing more than 380 types of plants, thus resembling a proper jungle..
Špica used to be a city beach. 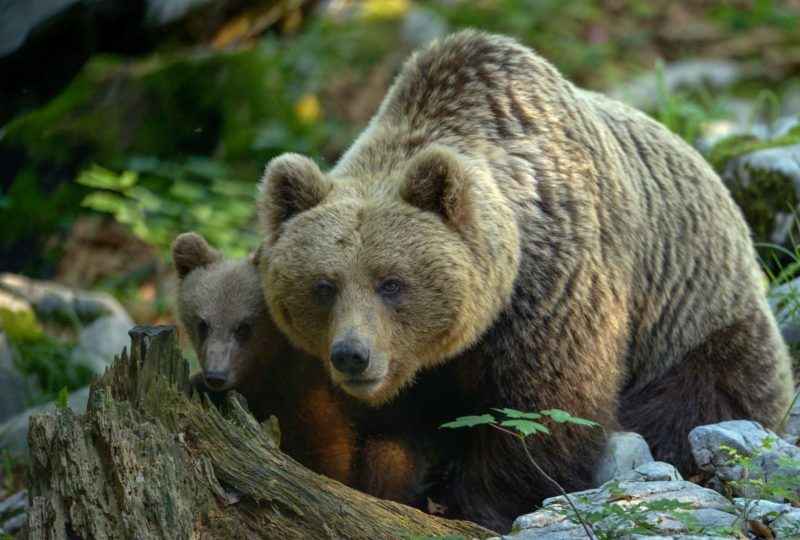 Today, due to its green surroundings and a large area paved with wood, it again attracts numerous visitors. 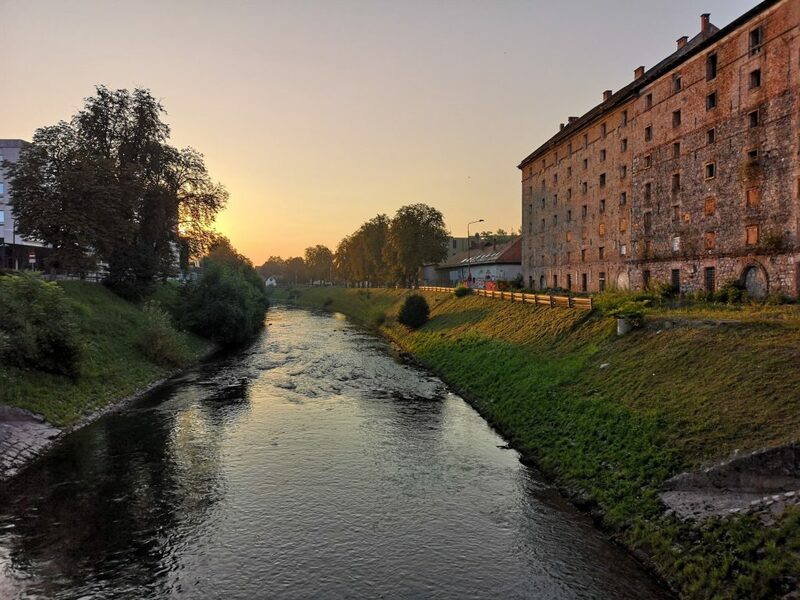 The spot of Špica, which translates into English as a “pointed tip” due to its shape, splits the Ljubljanica river into two channels, with the left one flowing into the city centre and the right one bypassing Ljubljana. 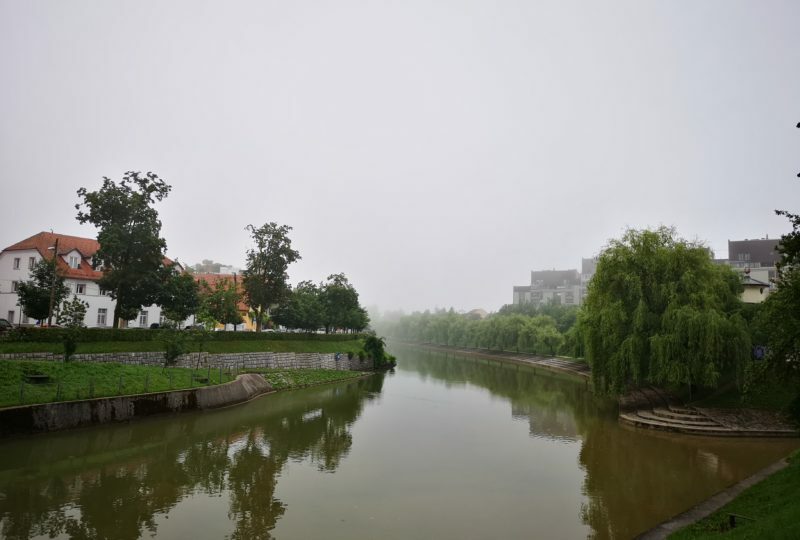 The right channel, which is called the Gruber Channel, was built to add descent to the river bed and help the city at the times of high waters and floods. The bank was recently renovated and new wharfs were added to improve the look and feel of the river. They are very photogenic! 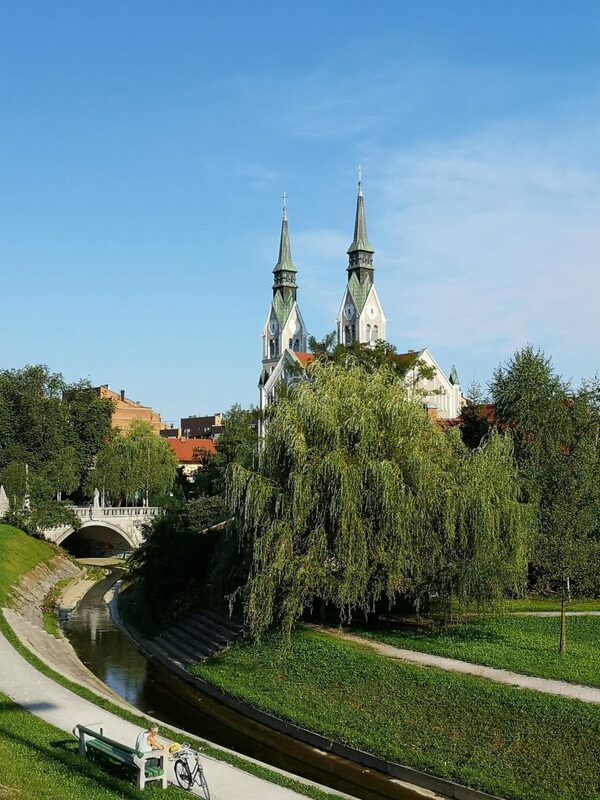 The church separates the old city centre at the foot of the Castle Hill from the nearby traffic road and embankments. The baroque-style church from the 17th century was built in the place of the former Gothic church. The Column of Saint Mary, which is situated in a small park next to the church, was designed by polymath Johann Weikhard von Valvasor. 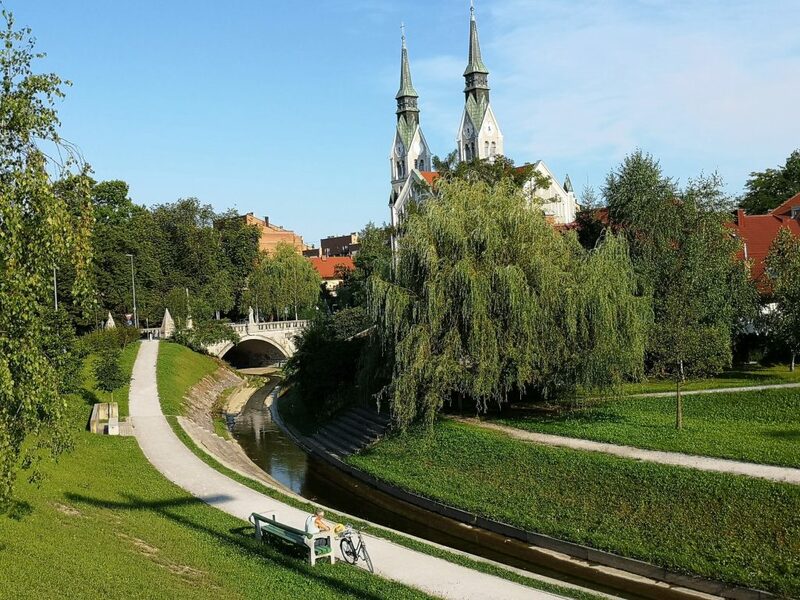 It was erected in the 17th century by the Carniolan Provincial Estates, which vowed to worship Saint Mary after having won a battle against the Turks in Szentgotthárd. Like many other things, the column was given its current appearance by Jože Plečnik. 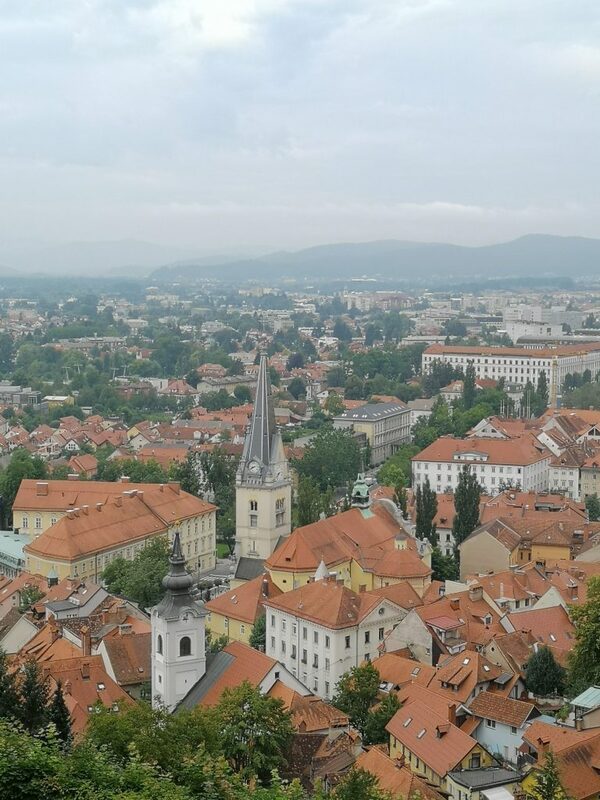 The Church of Saint Florian was commissioned by the citizens of Ljubljana to commemorate the tragic losses of the great fire, which devastated the Stari trg and Gornji trg squares in 1660. 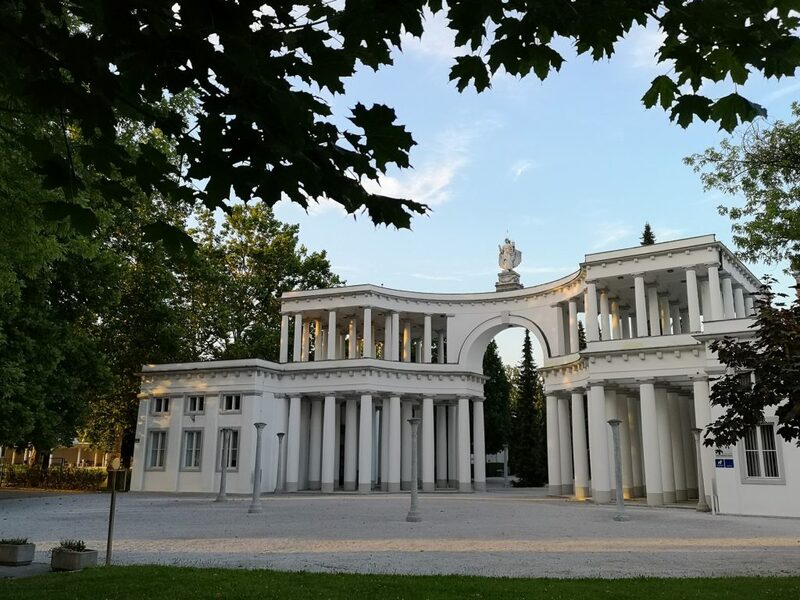 Its present appearance was, yet again, given by architect Jože Plečnik. 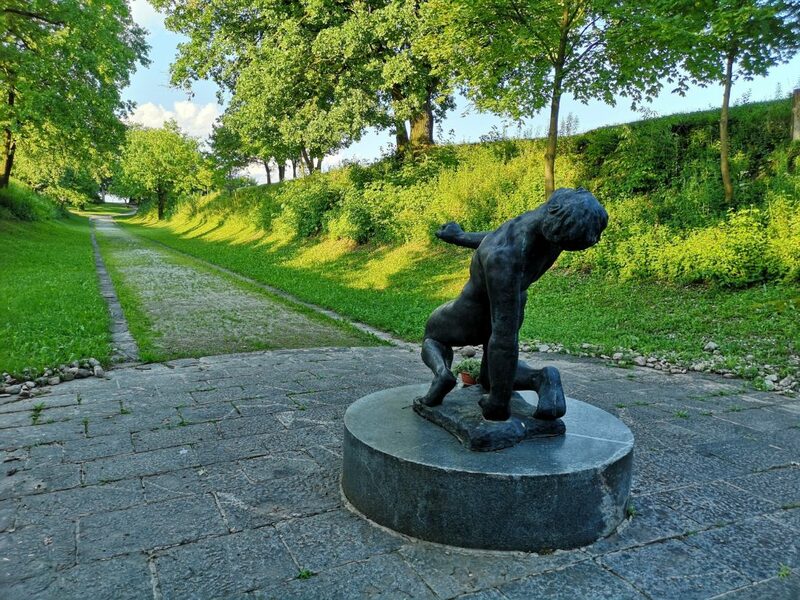 The path leading through the ruins of the former fortification was, again, designed by Jože Plečnik. 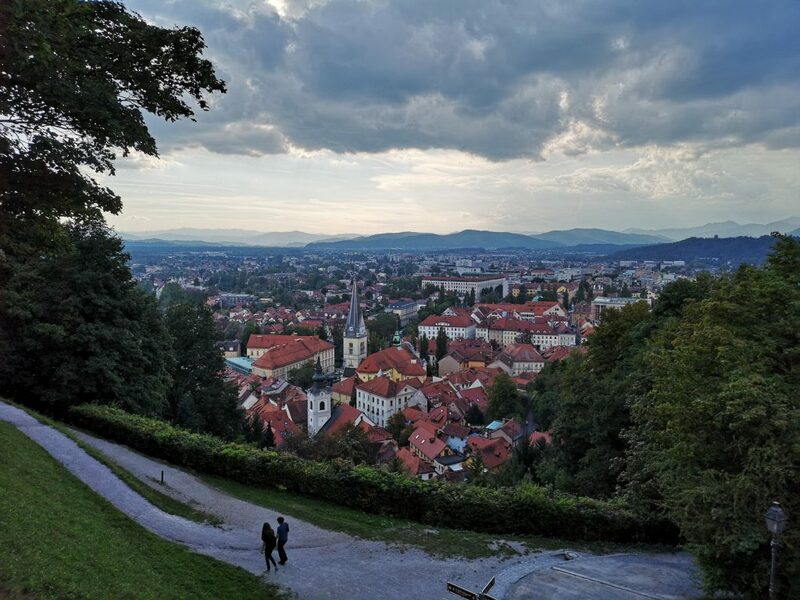 The Castle hill is criss-crossed with walking paths, offering picturesque views and many photography sites. 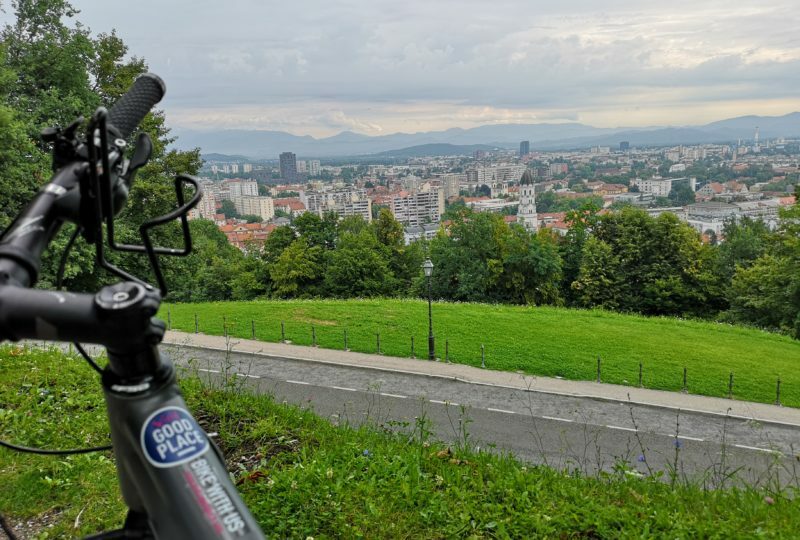 The most well maintained path, which runs along the tree-lined avenue, offers a beautiful view over the somewhat less known north and north-east parts of Ljubljana. 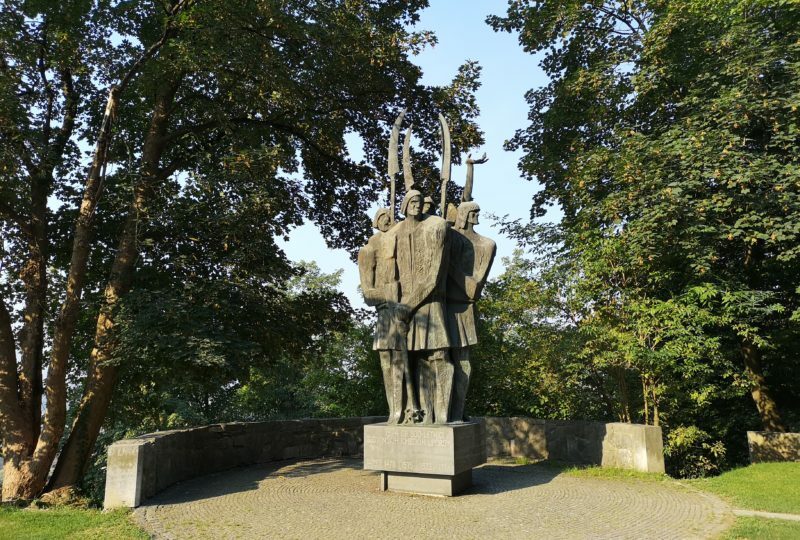 The monument, which is the work of sculptor Stojan Batič, is set up at the sightseeing platform right near the castle. The church was built in 1985 after a devastating earthquake. While its breath-taking grandeur strongly marks the surrounding environment, it is difficult to capture it on a photo, so the best view of the building is offered from the Castle. 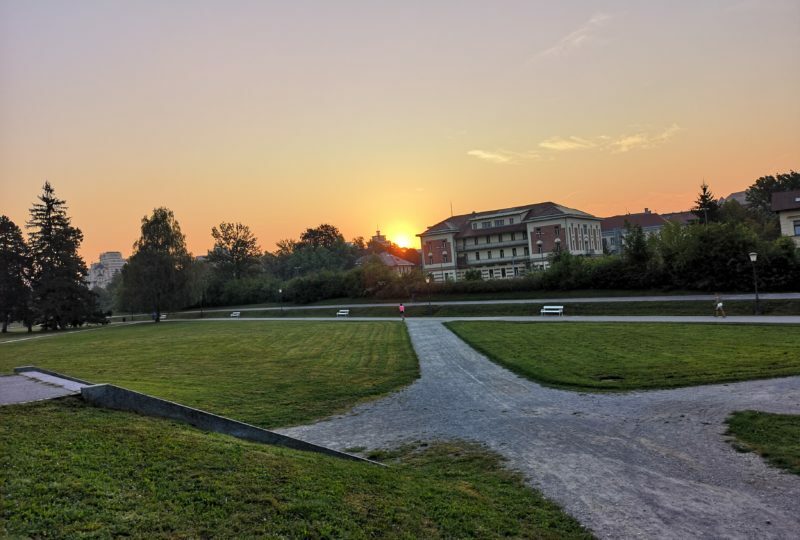 After WWII, the church housed a film studio, but was restored to its former purpose in 1996, when Pope John Paul II visited Slovenia. 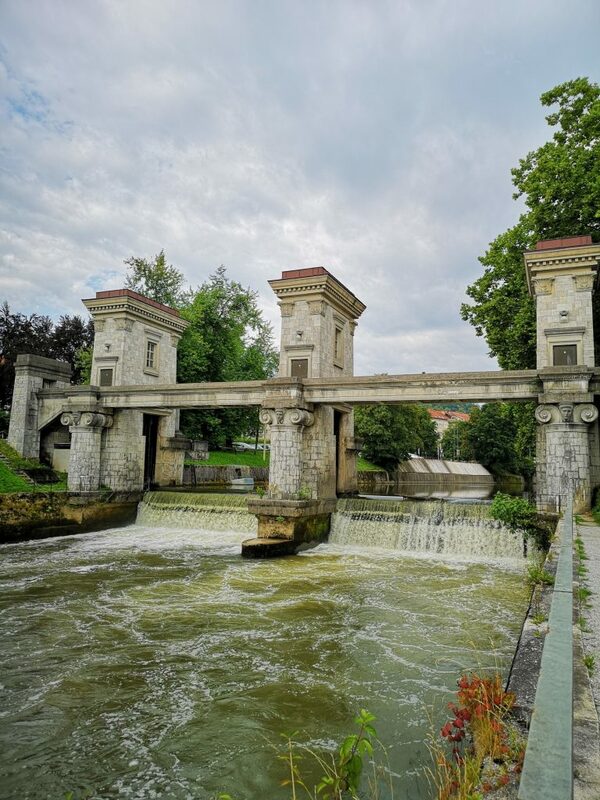 Protected as a monument of national significance, the Ljubljanica Sluice Gate is a monumental sluice gate used for water level management. 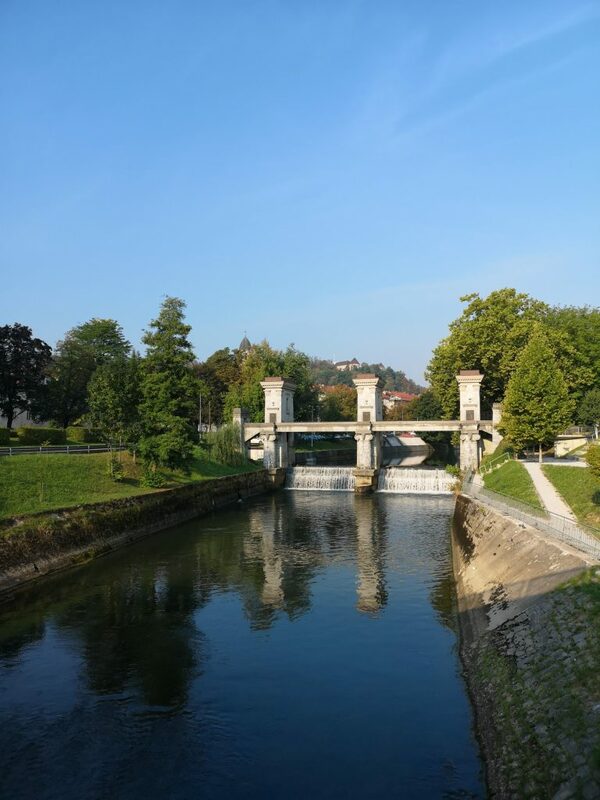 Architect Jože Plečnik envisaged it not only as a symbolic ending of the city centre and a farewell to the urban part of Ljubljanica, but also as an element connecting the two promenades leading towards the city, albeit the gate cannot be used by pedestrians. 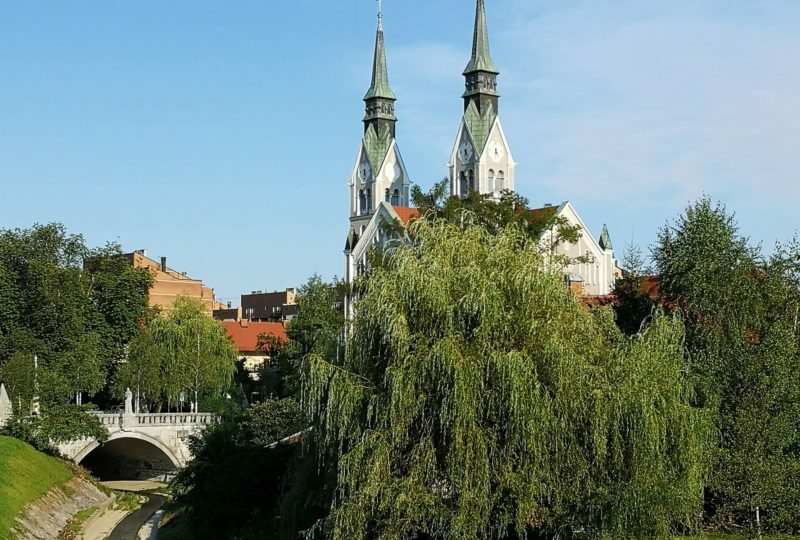 The building is located right behind the bridge on the right bank of the Ljubljanica river. 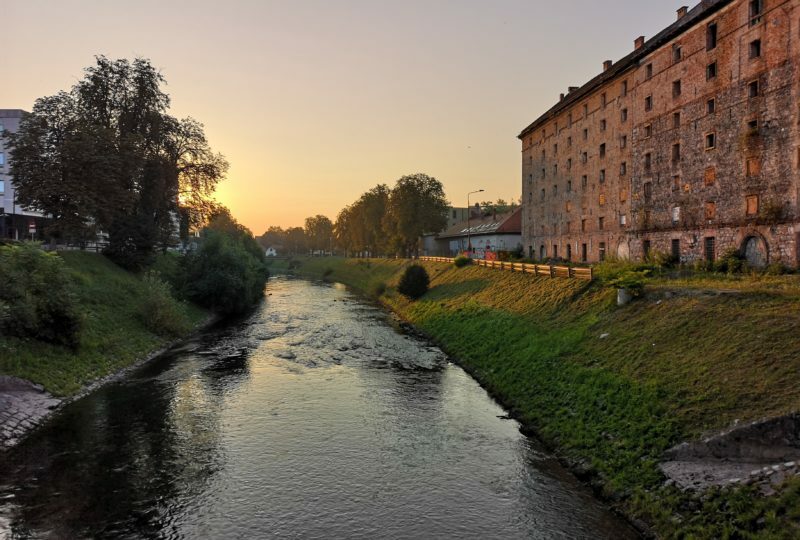 Approximately 200 years ago, the sugar refinery was one of the most important industrial facilities in Slovenia. 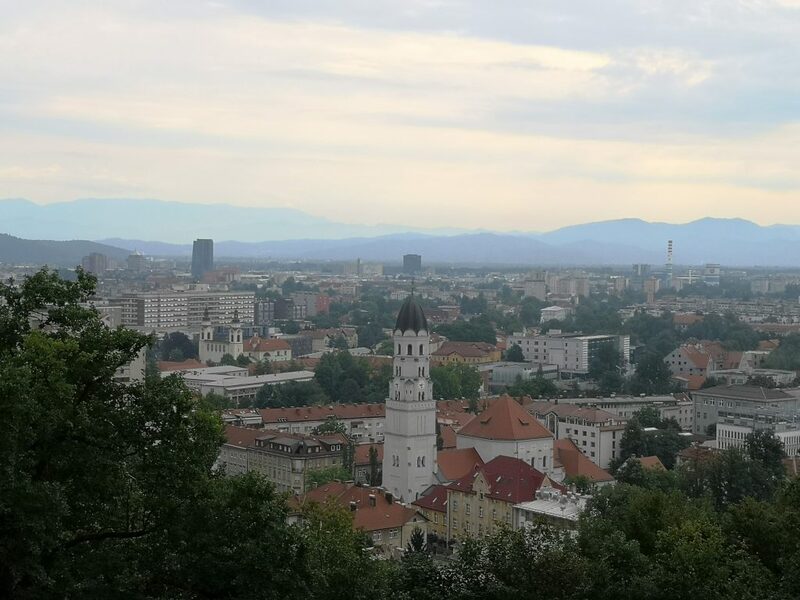 Later on, the factory was first transformed into military barracks and later into a shelter for the socially disadvantaged, providing a roof for many Slovenian poets who were able to write there, and two of them even passed away at the facility. The renovation works of the building are now planned after many decades of neglect. 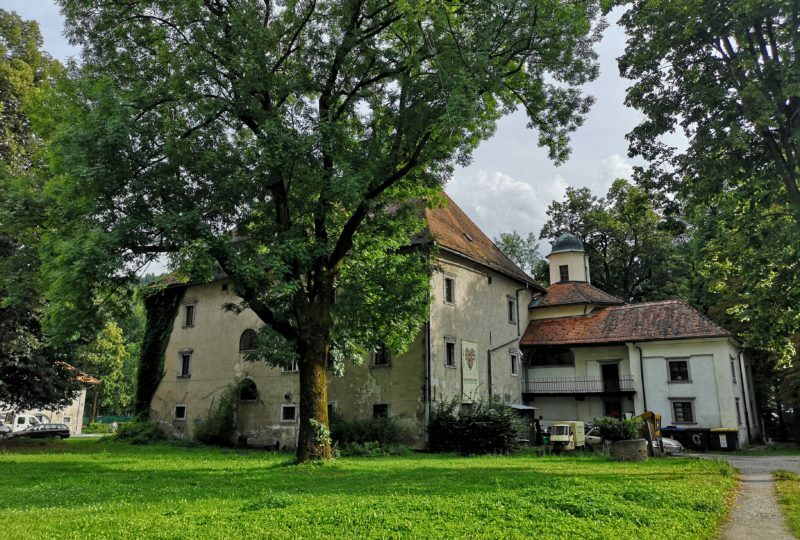 The Kodeljevo Castle is a 17th century mansion with a chapel, located at the big curve of the Ljubljanica river, which was subsequently regulated. The castle’s last owner was Anton Codelli, an inventor, nobleman and politician, who brought the first car to Ljubljana. The park is all that now remains of a once glorious castle park. 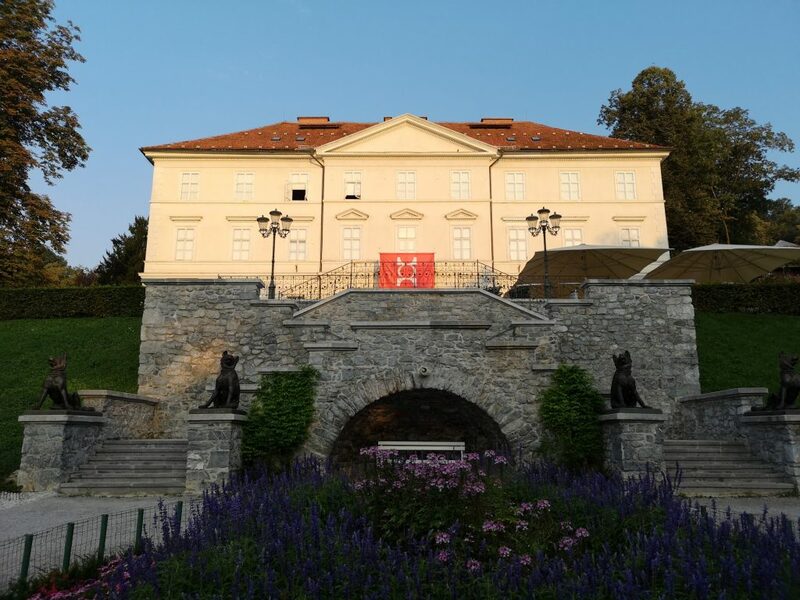 Situated at an idyllic location next to the Ljubljanica river, this Renaissance mansion was used for residential purposes and never served as a fort. 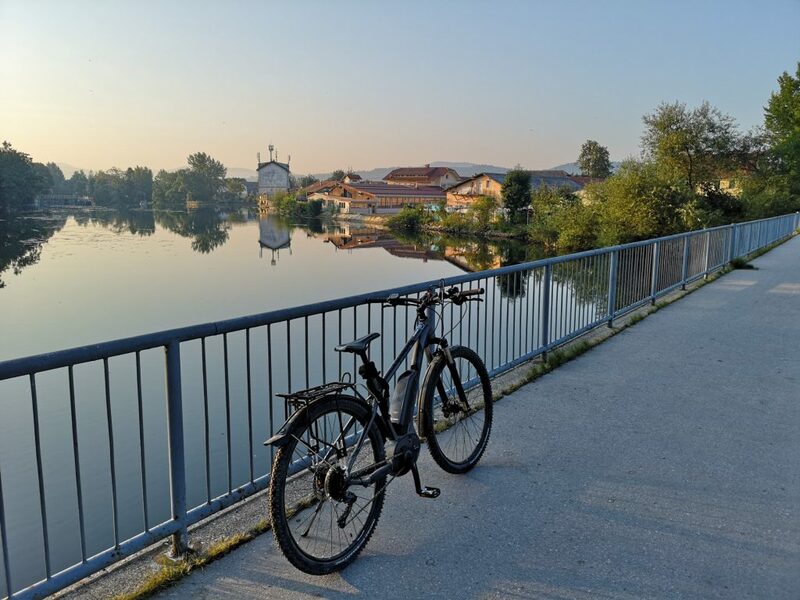 The Slovenian name Fužine originates from the foundries that used to operate along the river. 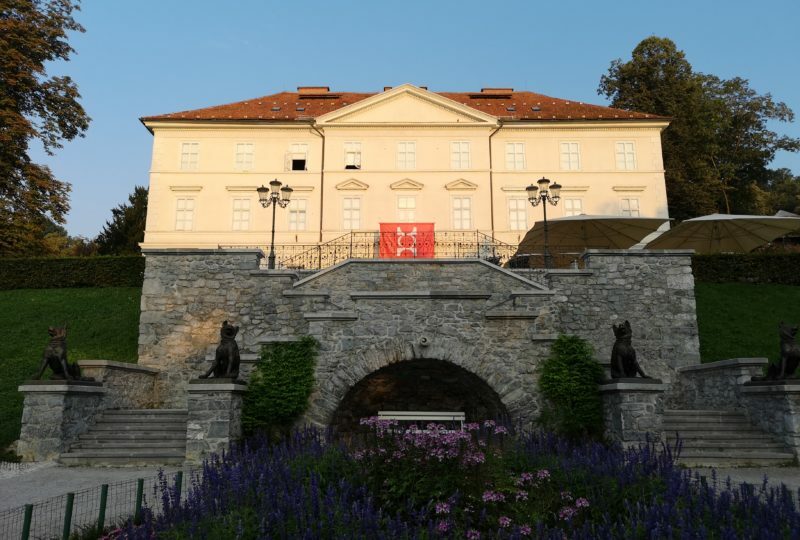 The castle was built in the 16th century by one of the few Ljubljana bourgeois families of the Carniolan descent. There were various production facilities next to the castle – mills, (copper) foundries, a smithy and a glass factory. 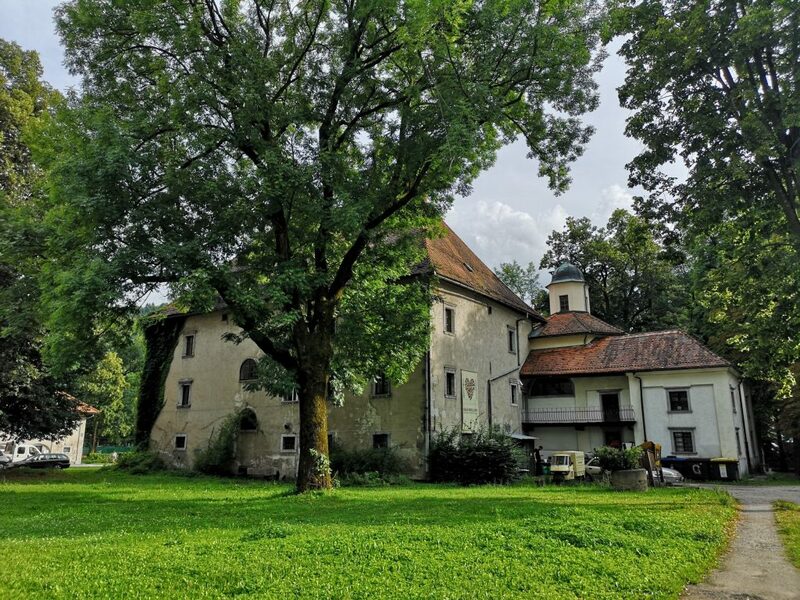 Managed by the residing family, the castle served as a stronghold for the Protestants, having contributed to the first printed Slovenian book, so it is of little surprise that the first paper mill was established right at the castle. Today, the building is home to the Museum of Architecture and Design. 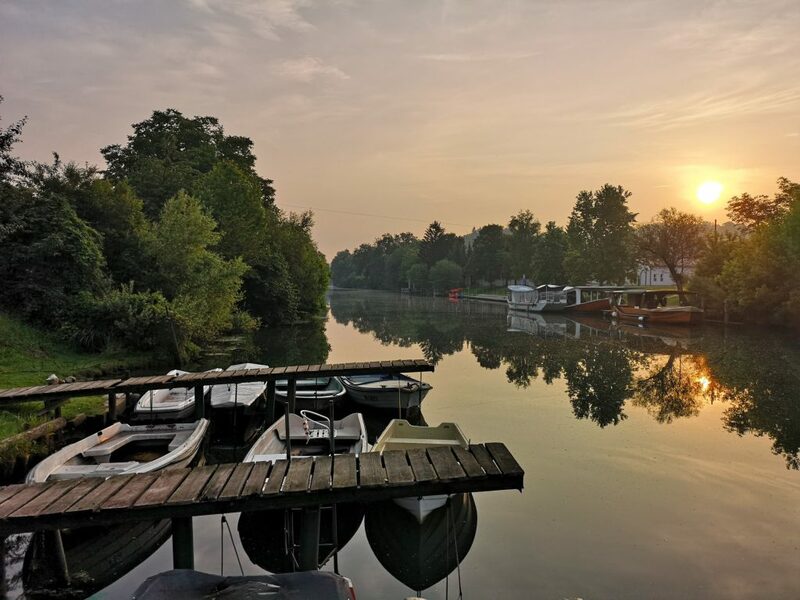 There are a few bridges over the river from the Fužine Castle to the point where the route leaves the river. 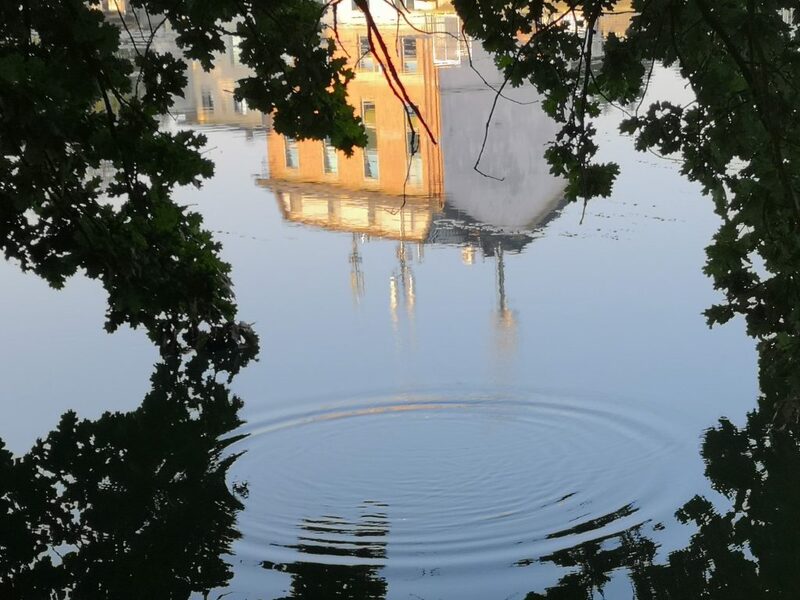 All of them offer nice photo opportunities – the river, always some birds and random people. 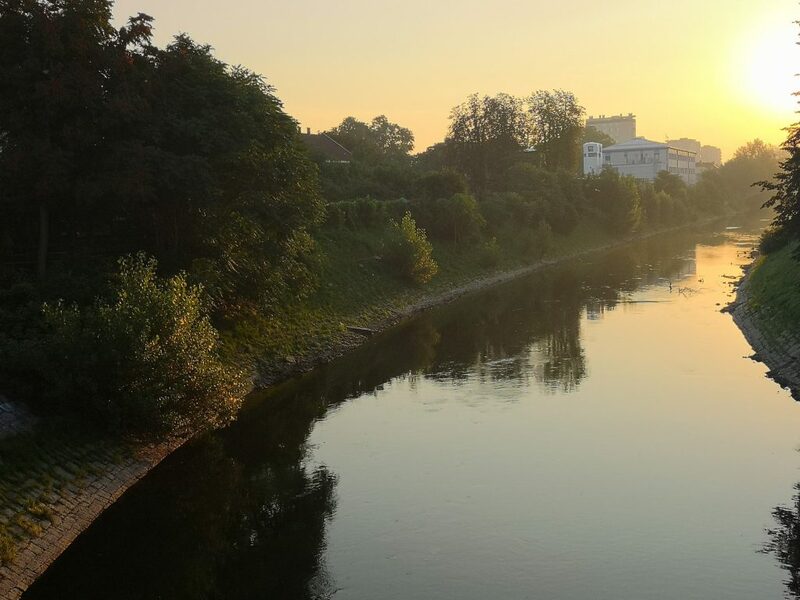 The best view is definitely from the bridge closest to the castle. 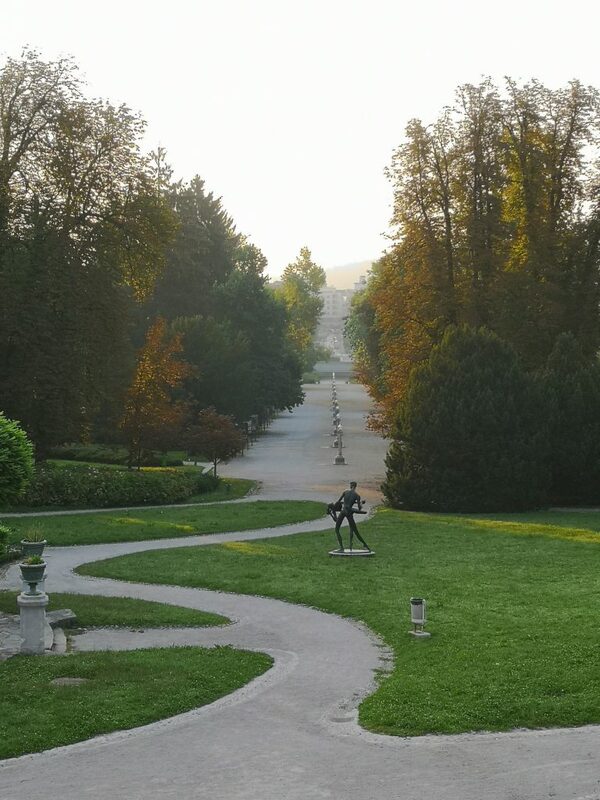 Žale is the largest cemetery in Ljubljana. 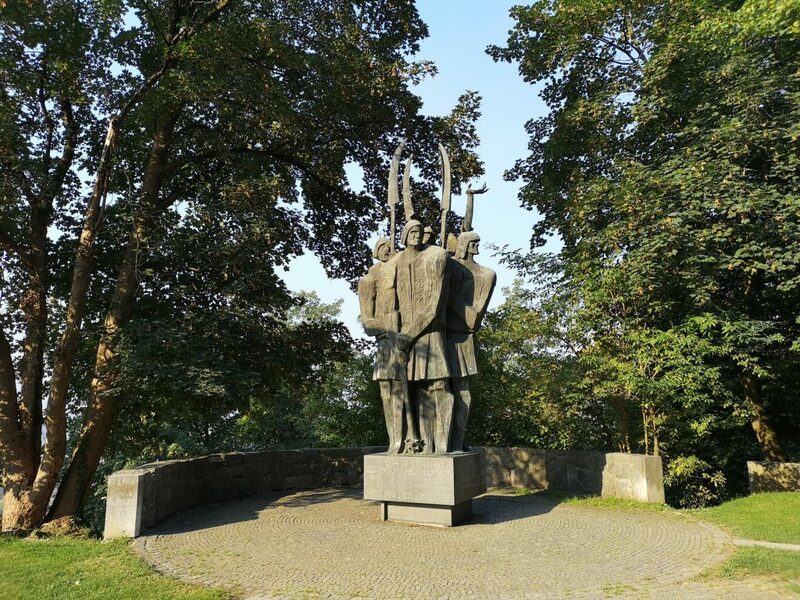 It was designed by architect Jože Plečnik in the late 1930s. 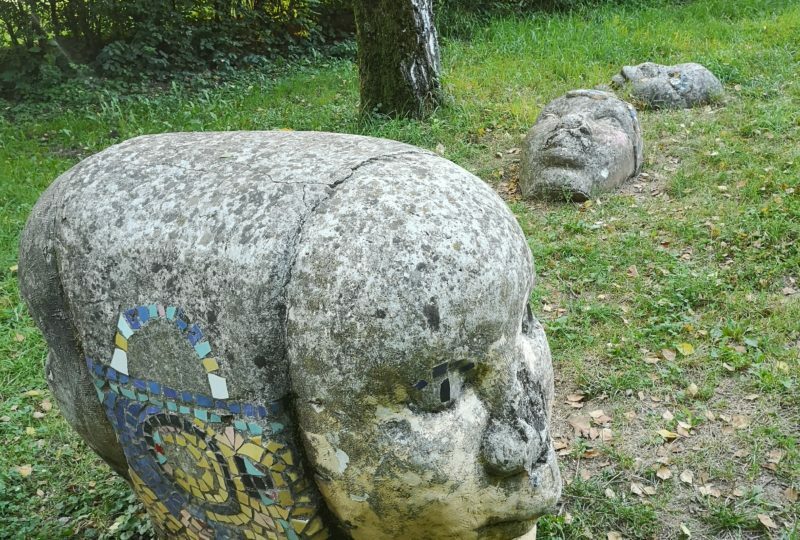 The extensive complex called the Garden of All Hallows, which includes a portal that symbolically separates the place of the living from the place of the dead and features numerous funeral chapels which each get marked by the name of the parish the deceased lived in, is a cultural monument and a place featuring gravestones designed by the best Slovenian artists and architects. 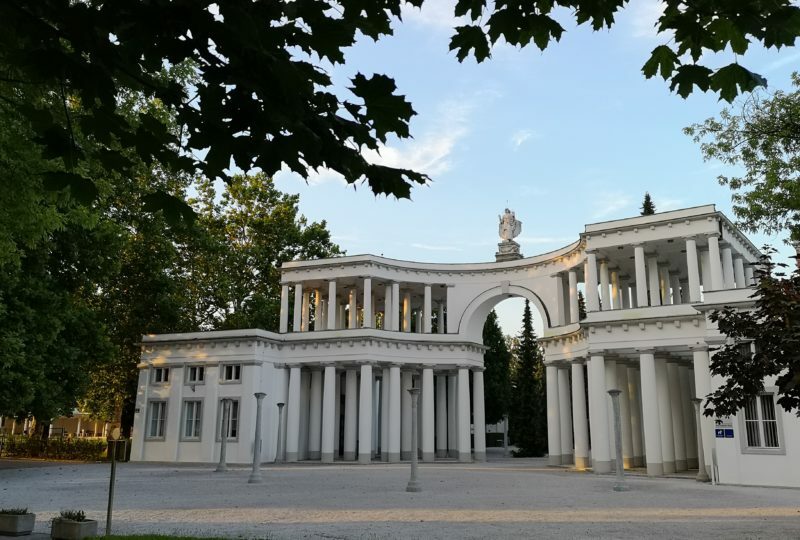 The complex includes an Austrian and German military cemetery from World War I and an ossuary with the remains of World War I victims. 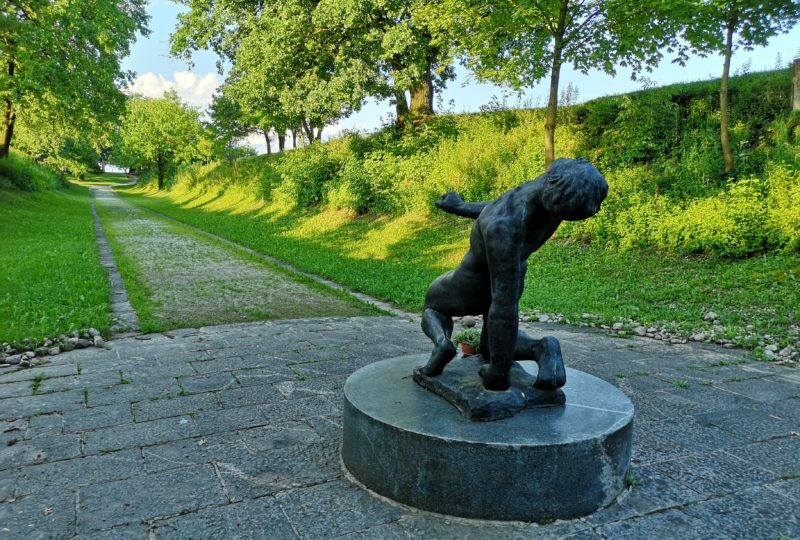 The Gravel pit is a memorial complex arranged at the place where the Italian occupying forces shot Slovenian hostages between 1942 and 1943. At least 185 hostages were killed there, many of whom remain unidentified. They were selected randomly among people who were arrested in the streets during the Italian military patrols. 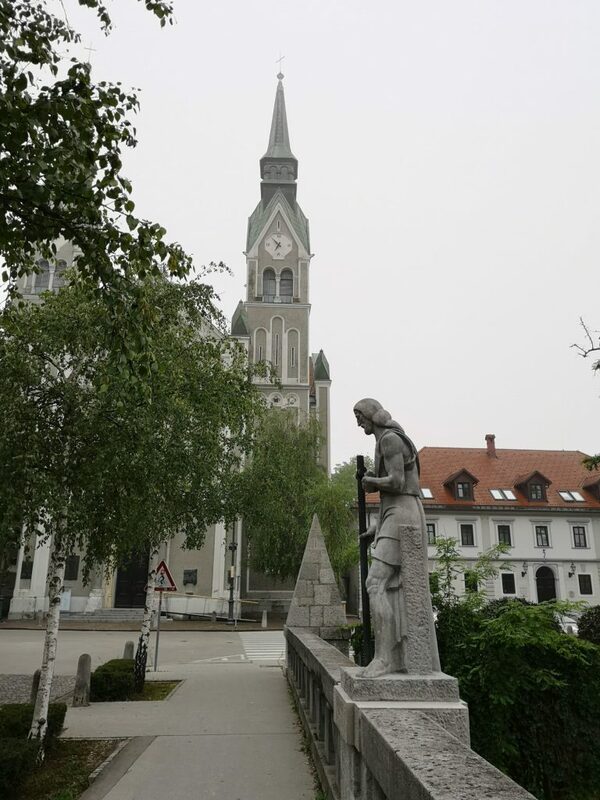 The unconventionally designed Church of Saint Francis (Slovenian: Cerkev sv. 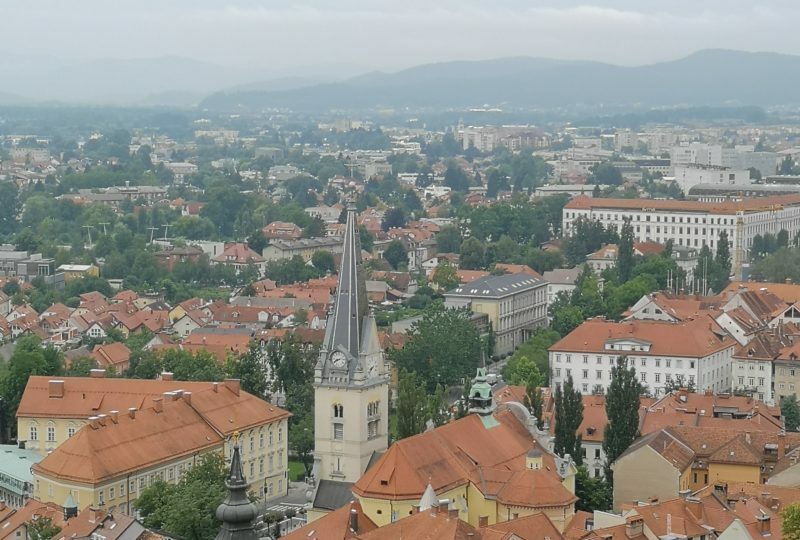 Frančiška) is a masterpiece by Jože Plečnik, who derived the design from the plans he made for the Church of the Sacred Heart in Prague. Even when the building was already in use, he would occasionally add an additional element to it. 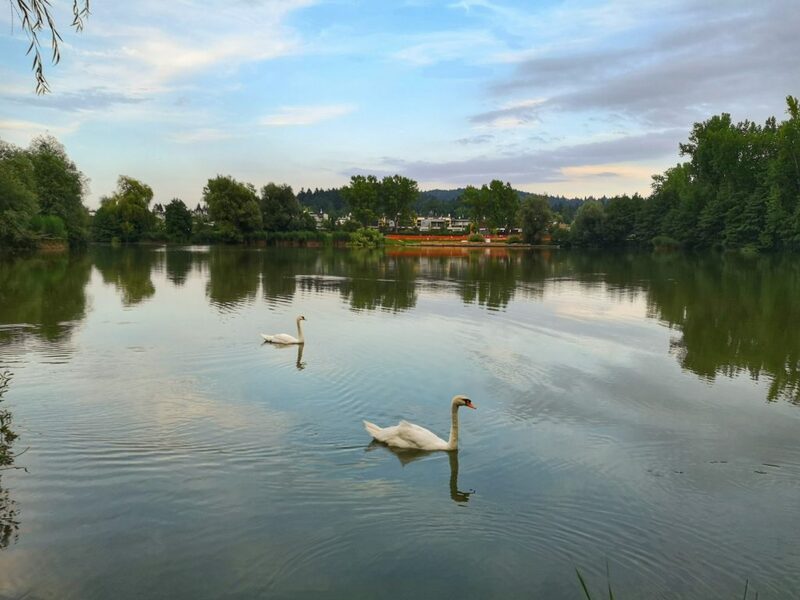 The Koseze Pond (Slovenian: Koseški bajer) is an artificial pond formed at a former clay pit. 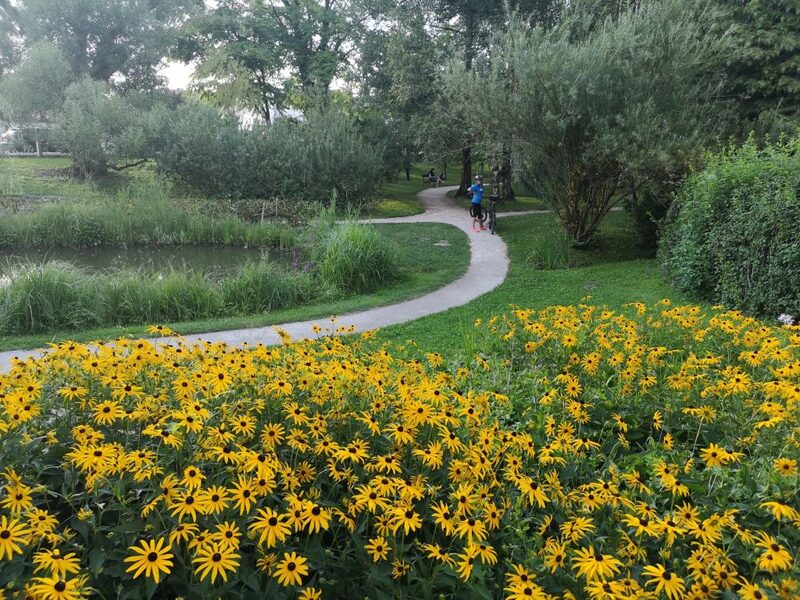 Today, it serves as a beautiful example of wetland, providing home to rare and endangered species of animals and plants. 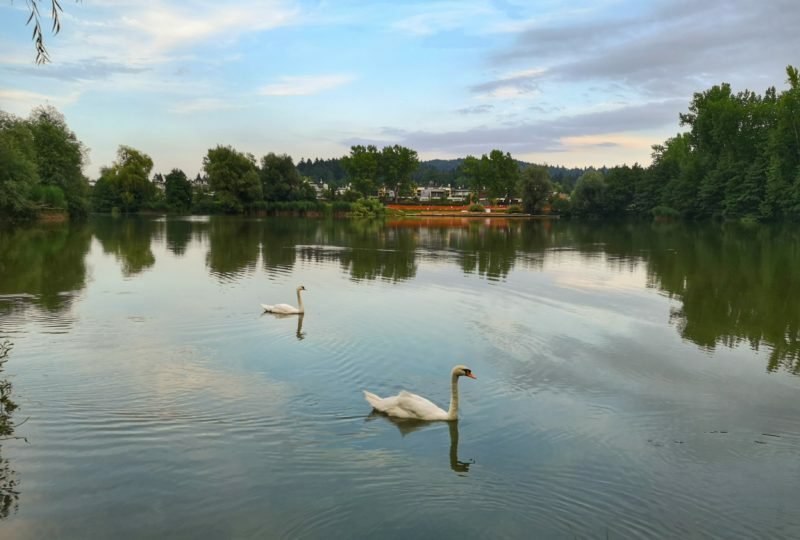 The typical wildlife in the pond includes frogs, numerous amphibians, different species of fish, dragonflies, as well as swans and other birds. The area is a popular place for walking and swimming throughout the year, as well as ice-skating in the winter. 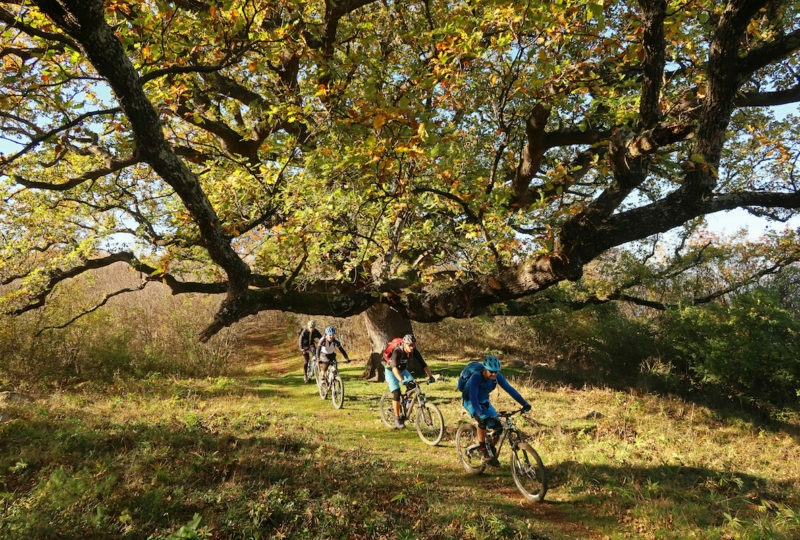 Mostec is a small wooded valley under the south-western slope of the Rožnik hill and one of Ljubljana’s popular recreational areas. 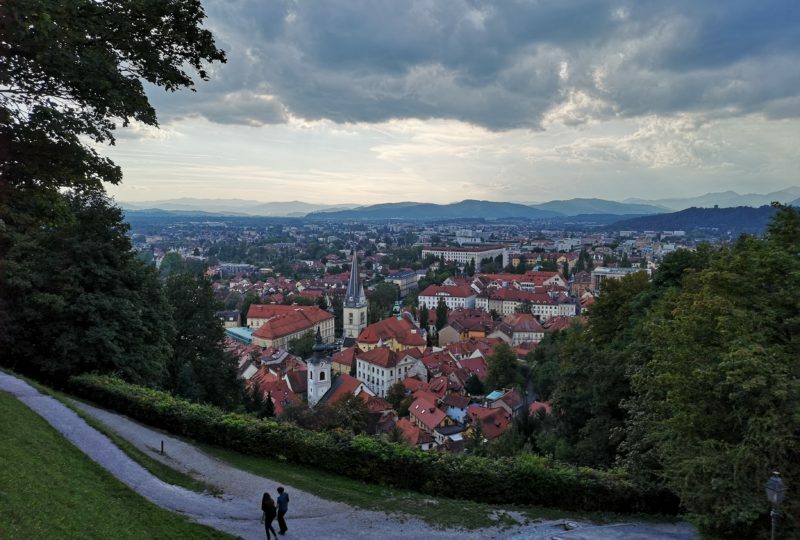 Numerous walking paths lead to the top of Rožnik as well as to the nearby Šišenski hrib hill and the Cankarjev vrh peak. 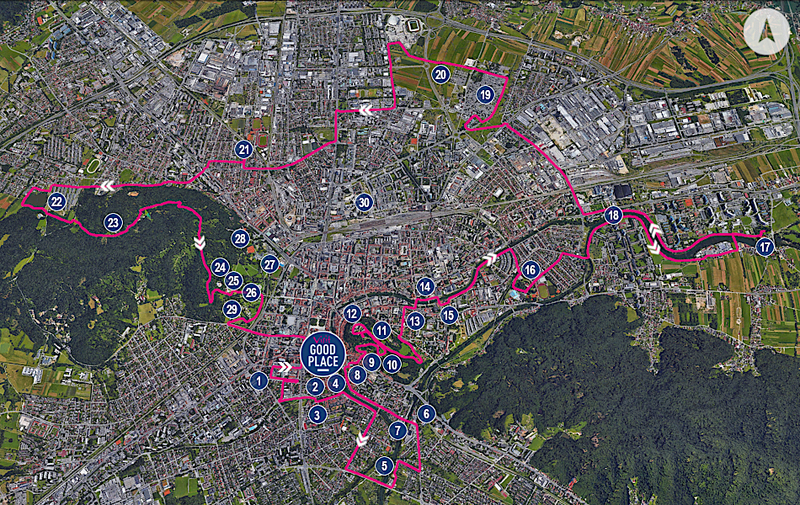 Several hiking trails head to the Tivoli Park, which extends right into the heart of the city centre. The Švicarija Creative Centre is part of the International Centre of Graphic Arts (MGLC). 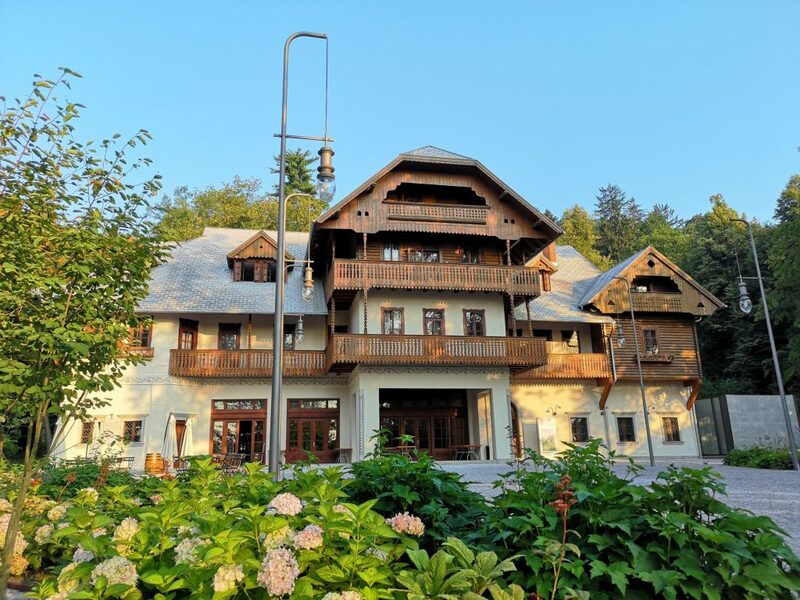 Originally, Švicarija was a wooden guest house, which opened its door in 1835 and soon became a popular hiking point with both the residents and visitors of Ljubljana. The Tivoli Hotel was built on the same spot in 1909, which went on to become a well-known gathering place of artists, bohemians and workers. 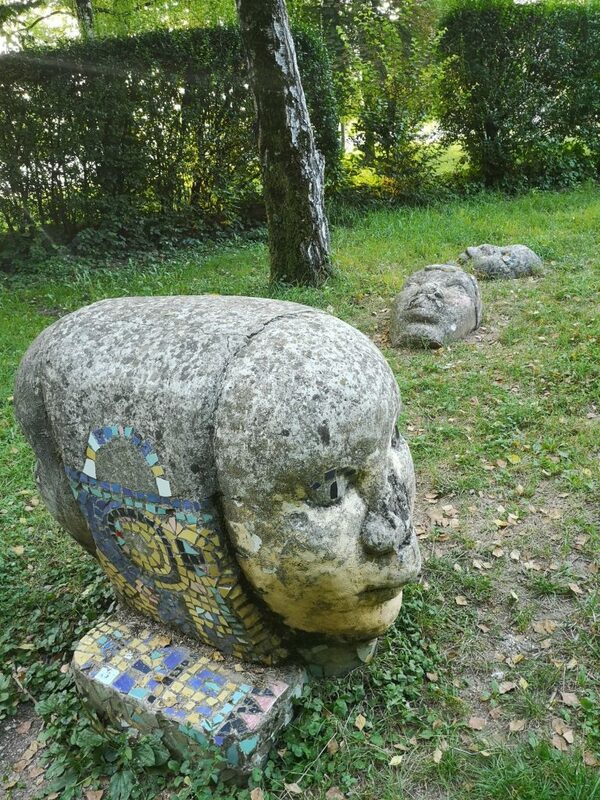 After the Second World War, many renowned Slovenian artists found space for their studios in the building. 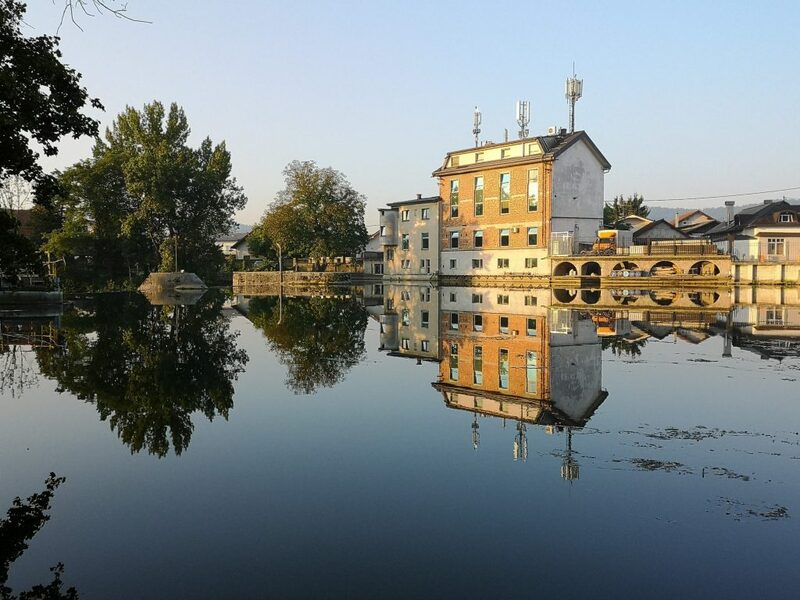 Today, the tradition is continued as the Švicarija Creative Centre provides live-in studios for local artists and accommodation areas for artists-in-residence (visitljubljana.com). 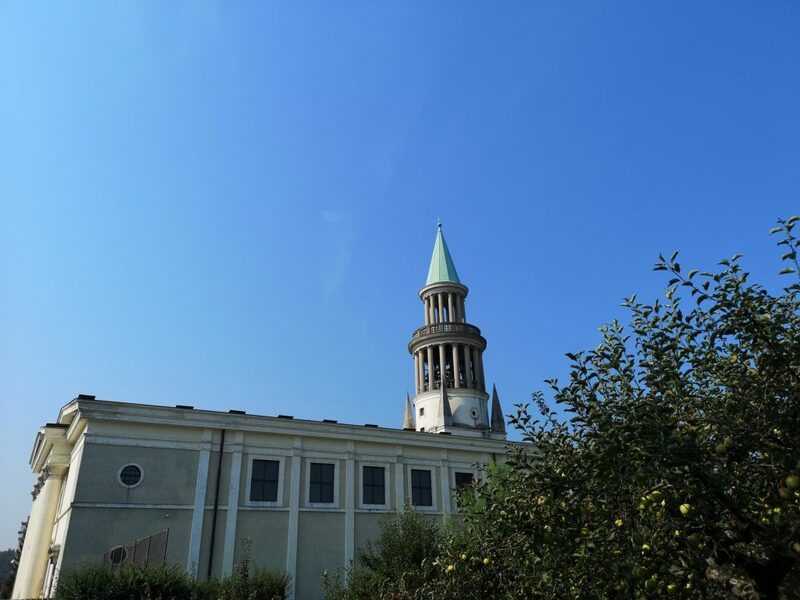 Castle Tivoli, or more precisely its location, has a rich history. 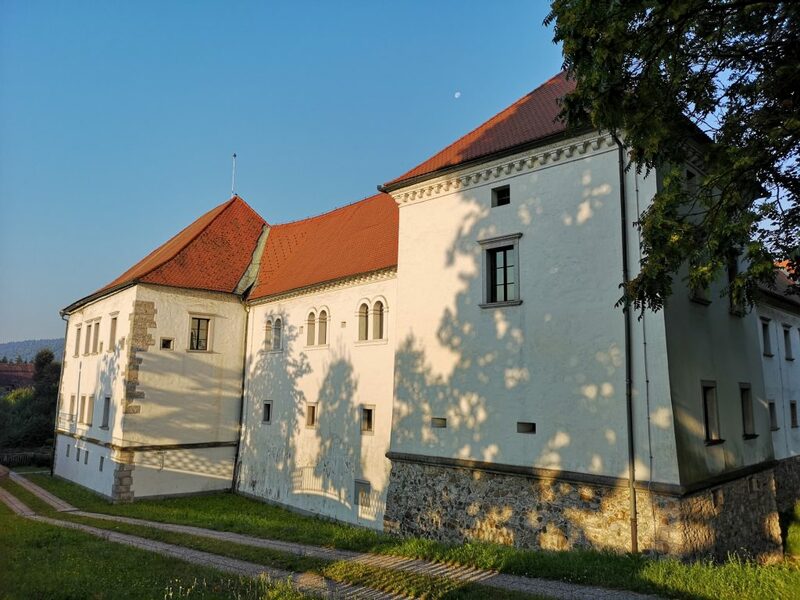 Today, the castle is home to the International Centre of Graphic Arts (Slovenian: Mednarodni grafični likovni center – MGLC) and a museum of 20th-century graphic works. 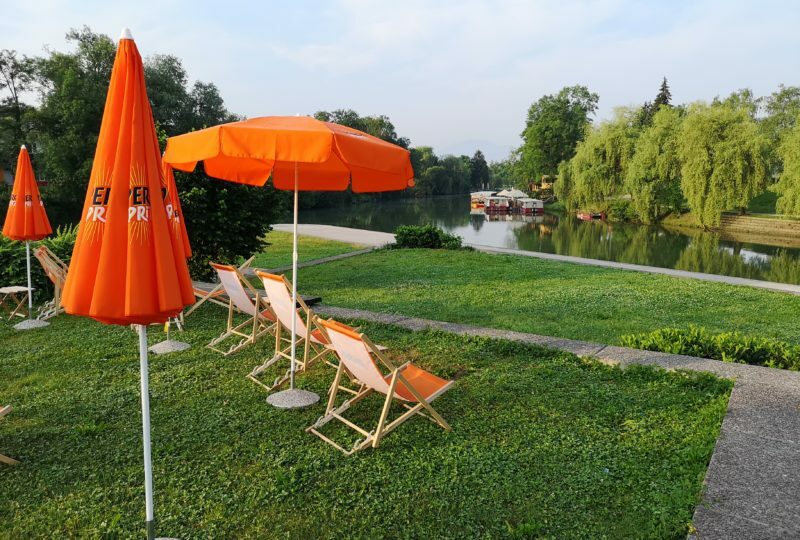 MGLC also produces the Ljubljana Biennial of Graphic Arts, which took place for th2e 32nd time in 2017. 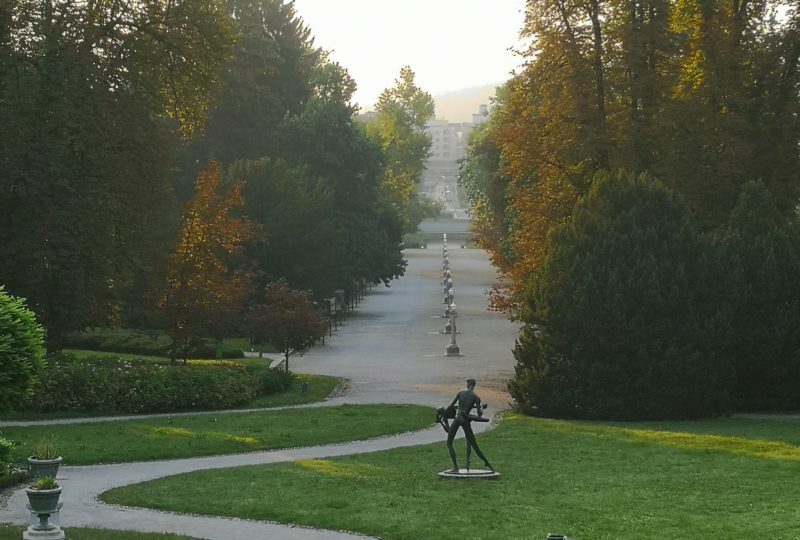 A wide and picturesque Jakopič Promenade, which ends at the stairs below Castle Tivoli, was designed by architect Jože Plečnik during a renovation of the park. 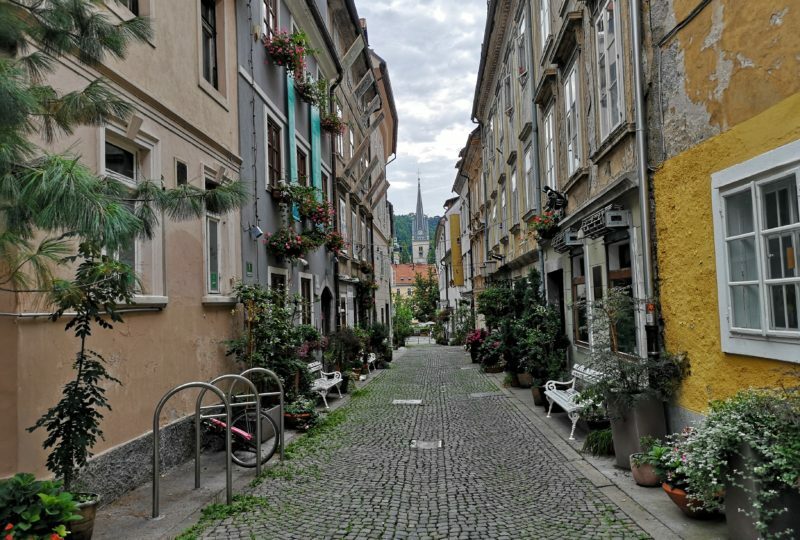 The promenade, which is named after Slovenian impressionist painter Rihard Jakopič, is a popular place as it hosts exhibitions of large-format photographs all around the year. 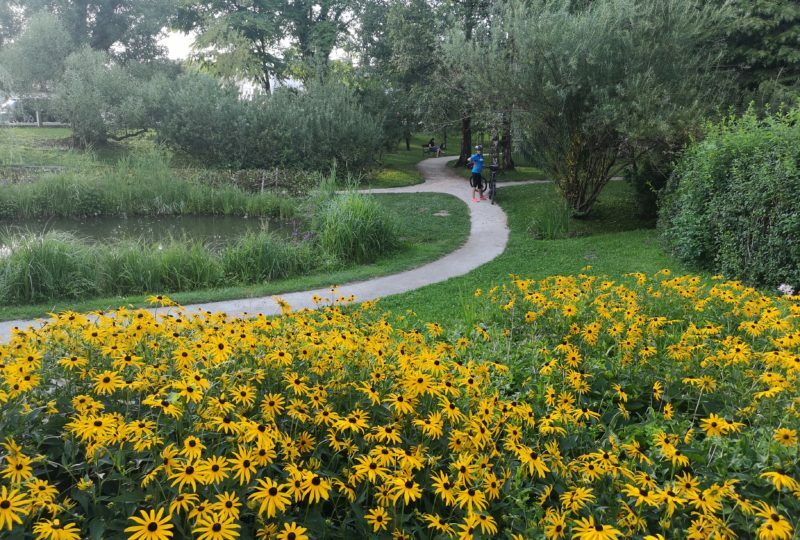 Extending over 5 km2, Tivoli as the largest and arguably the most beautiful park in Ljubljana is located next to the city centre. 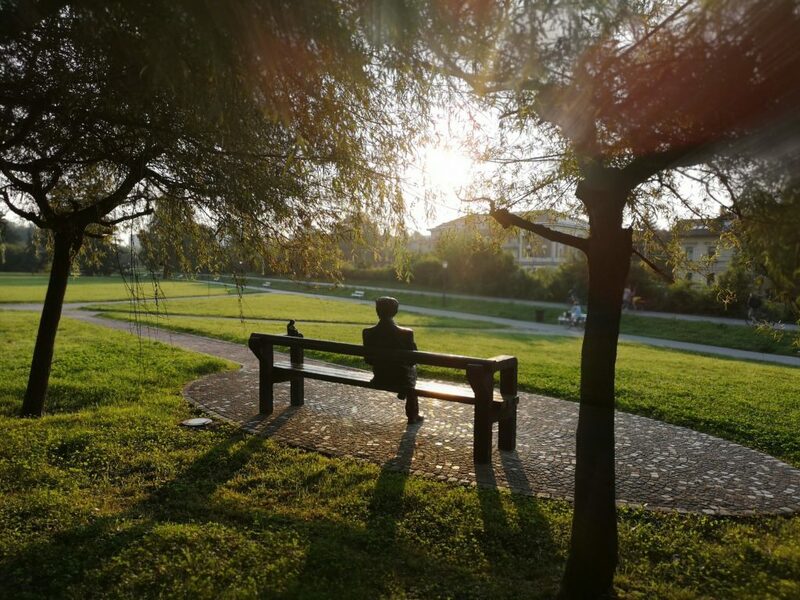 The park was created in 1813, when the two parks, i.e. the one around the Podturn Caste and the other one, which surrounded the Cekin Castle, were joined together. 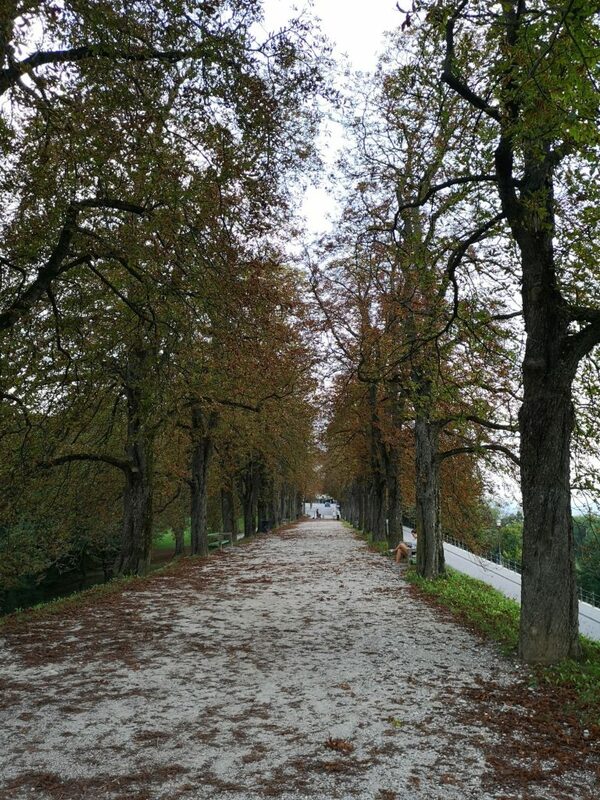 The three main paths in the park are lined with chestnut trees. 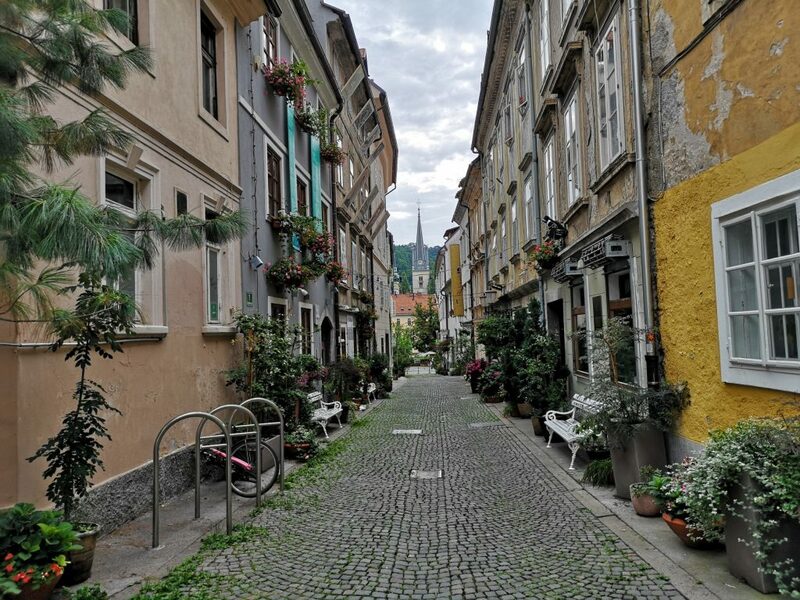 These are complemented with flower beds, interesting trees of other varieties, as well as numerous statues and fountains. 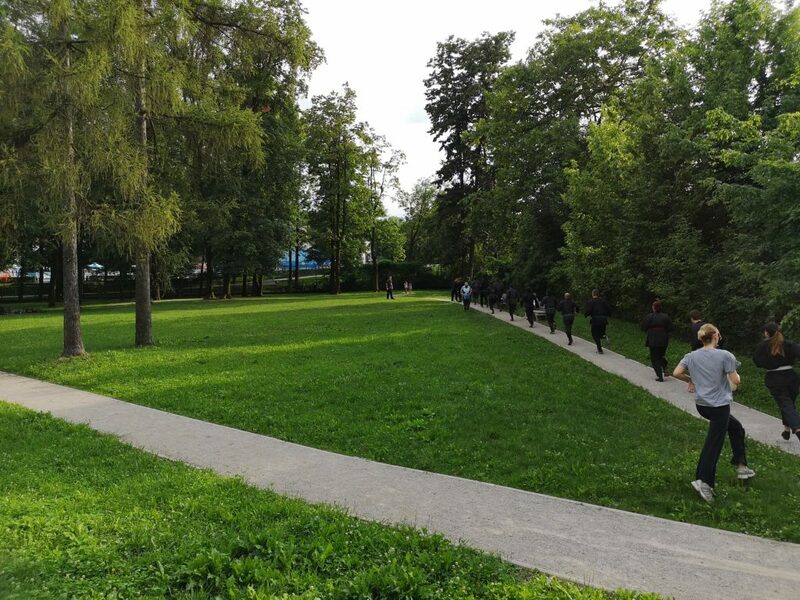 The park and its many paths extend upwards to one side of the Rožnik Hill, where one can also find a fitness trail with sports equipment. 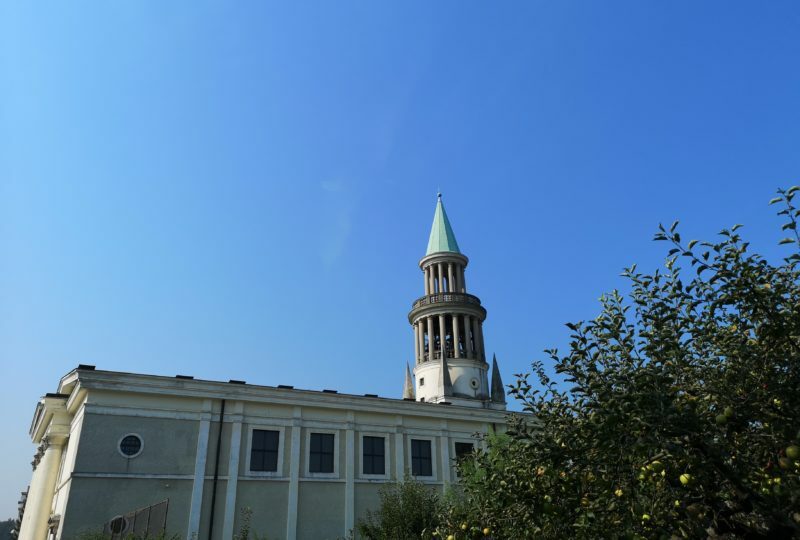 The Cekin Mansion (Slovenian: Cekinov grad) is located in the northern edge of the Tivoli Park, close to the Tivoli Hall. It houses the Slovenian Museum of Contemporary History (Muzej novejše zgodovine Slovenije). 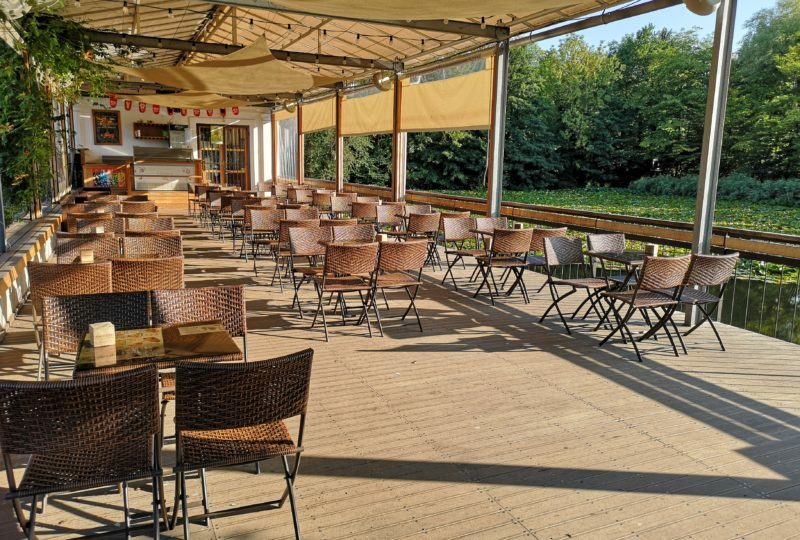 Čolnarna is a scenic café near the pond, which used to serve as a boathouse.